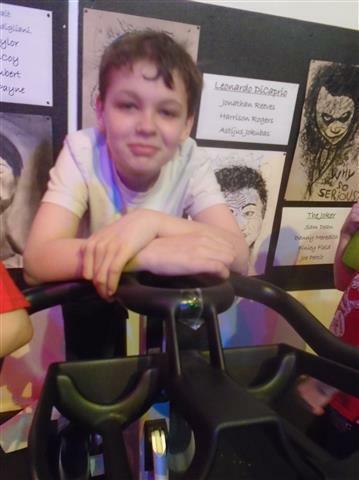 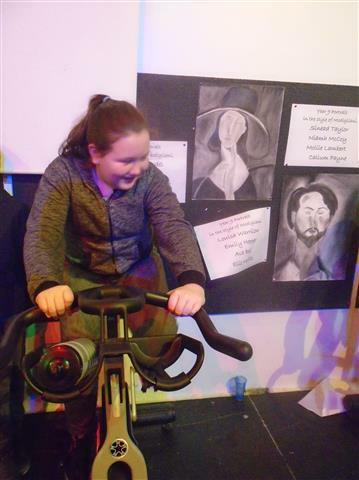 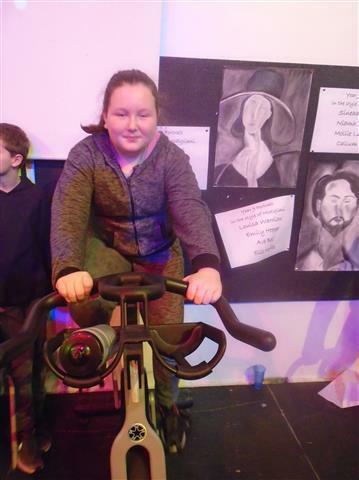 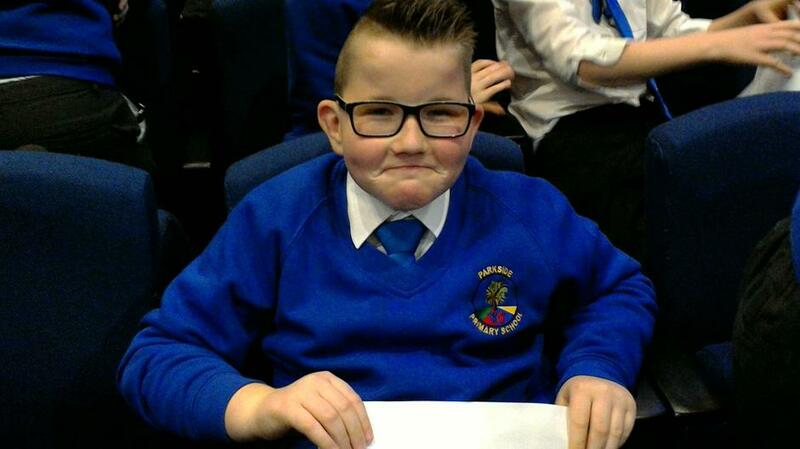 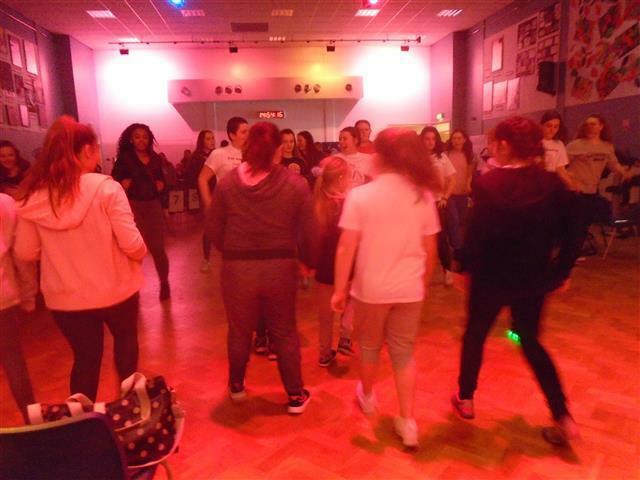 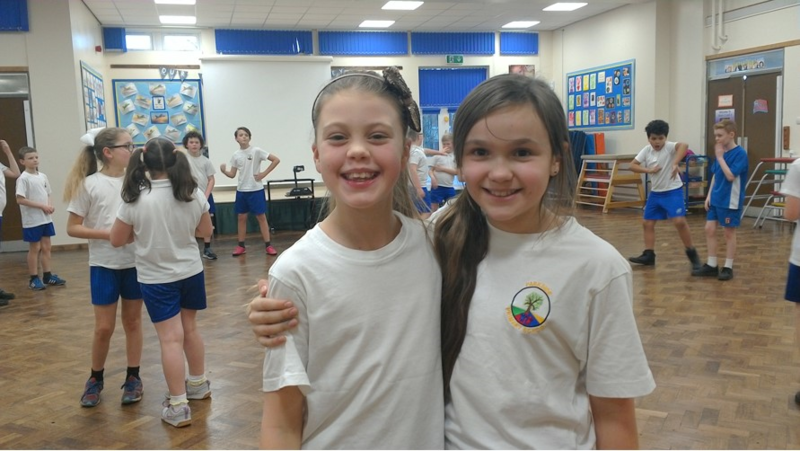 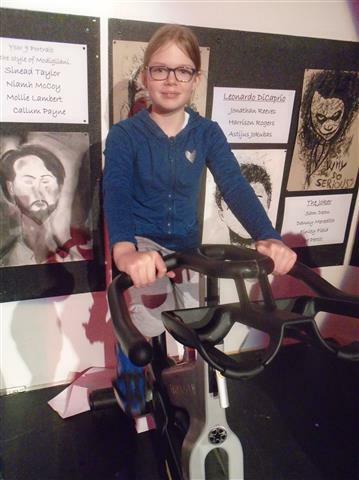 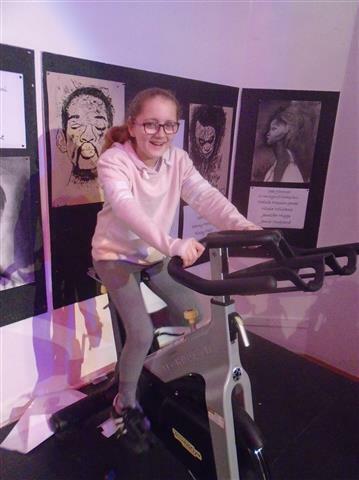 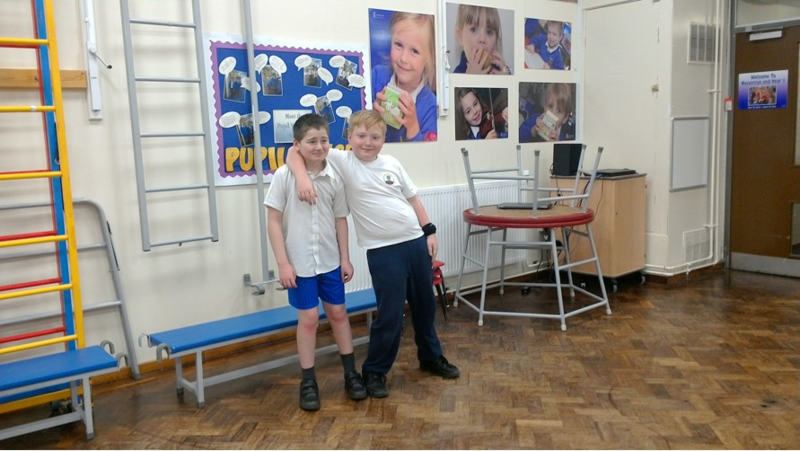 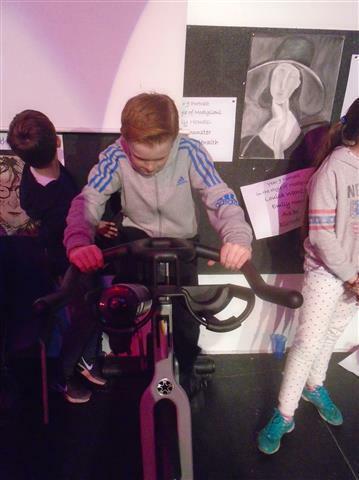 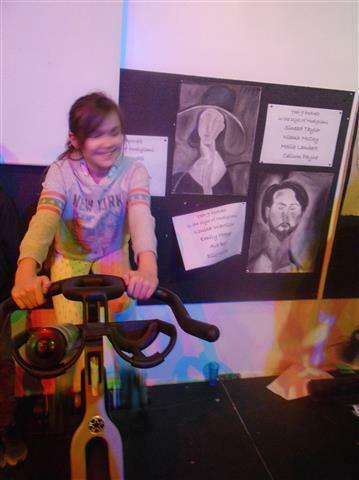 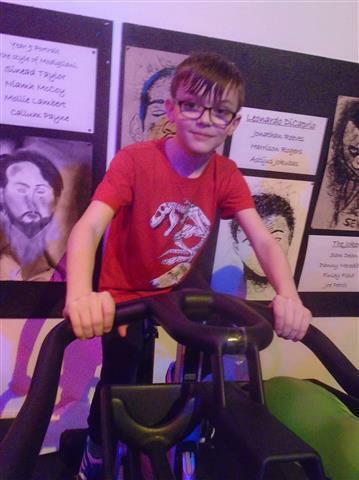 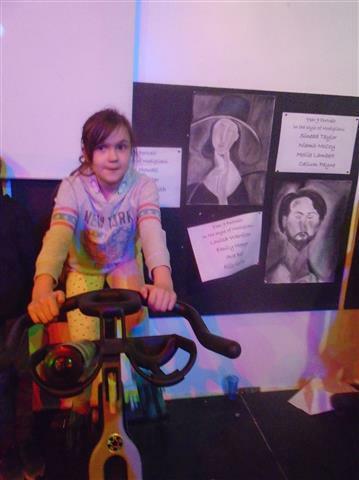 On 24th March Year Six took part in the annual Spinathon Charity Event held at Sir Graham Balfour High School. 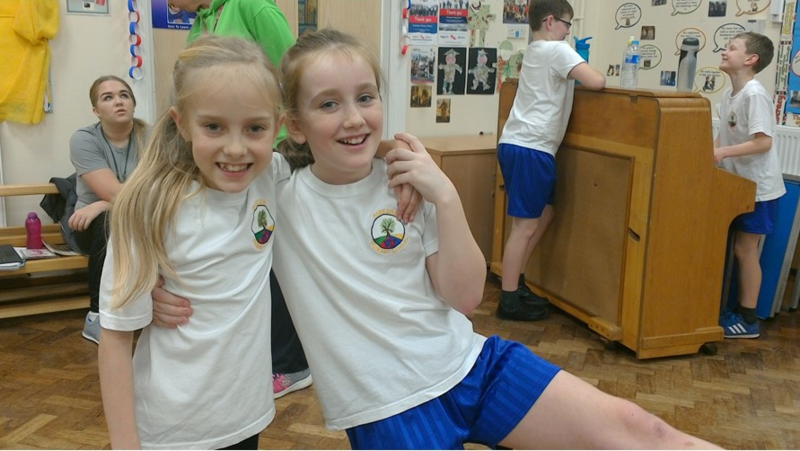 They were impeccably well behaved and had great fun - whilst at the same time raising money for Katherine House Hospice, Sir Graham Balfour School Cambodia and Sports Relief. 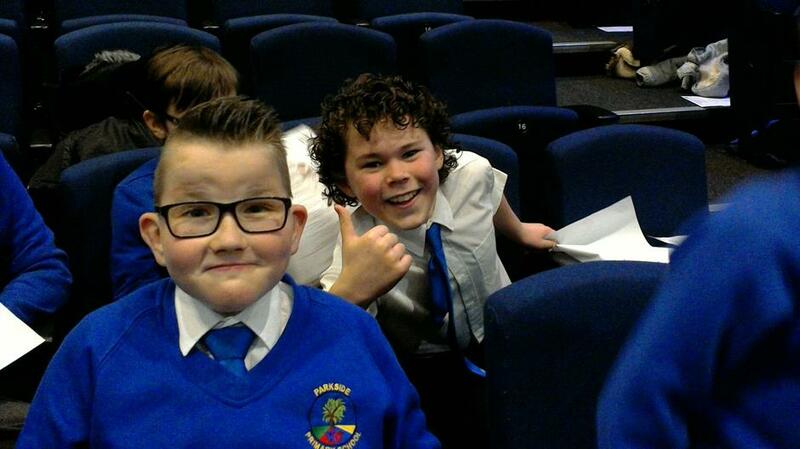 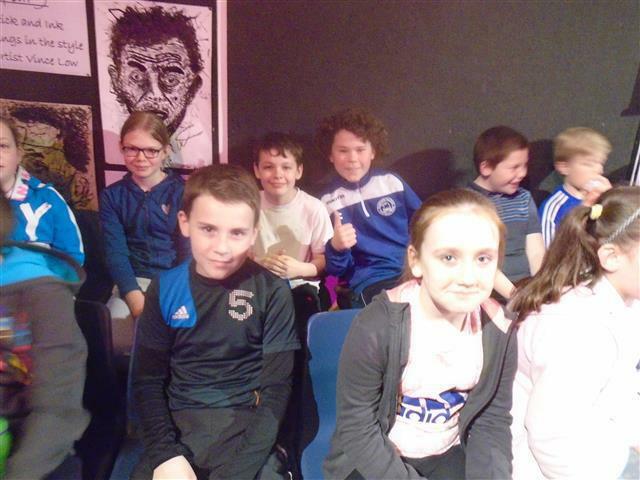 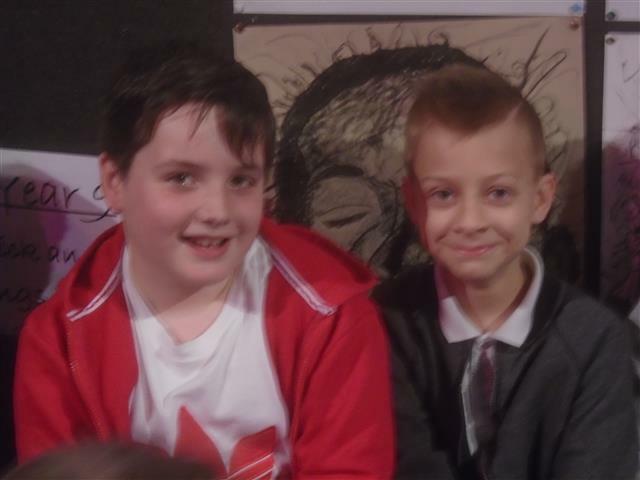 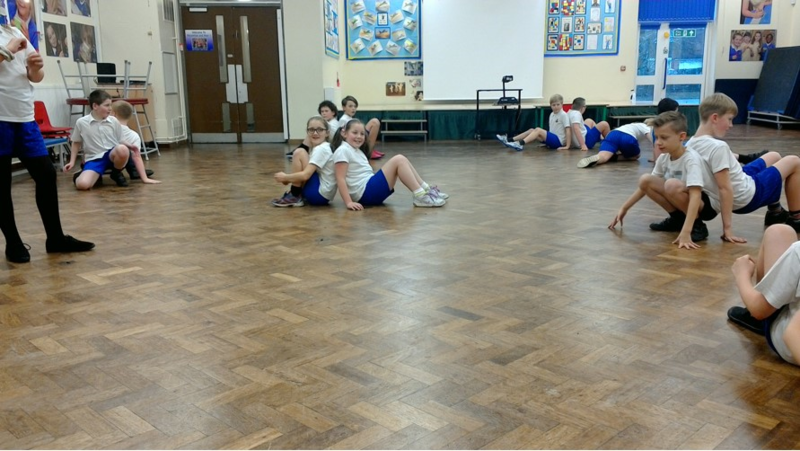 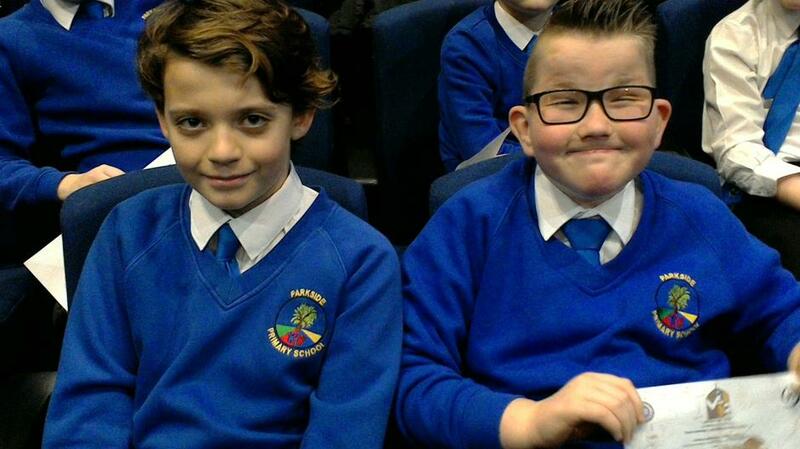 I am delighted to inform you that between them Year Six raised almost £100- a magnificent effort Year Six - well done! 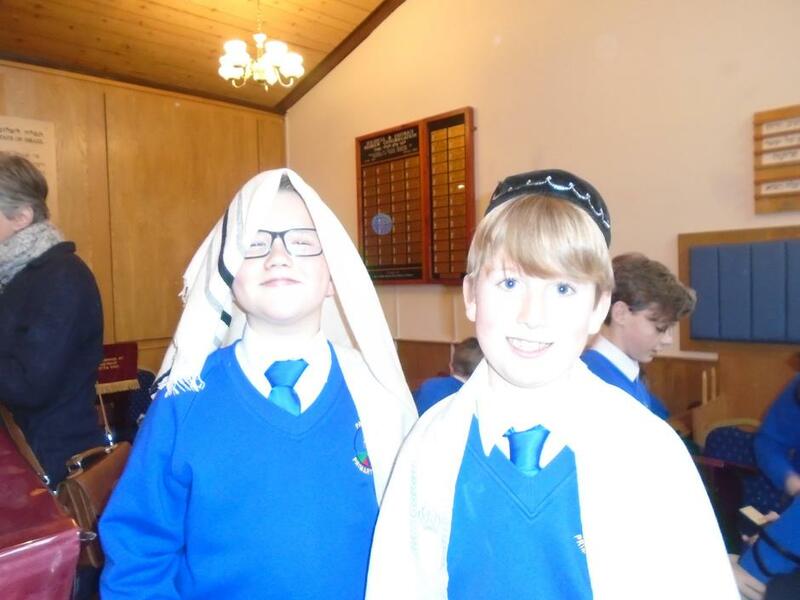 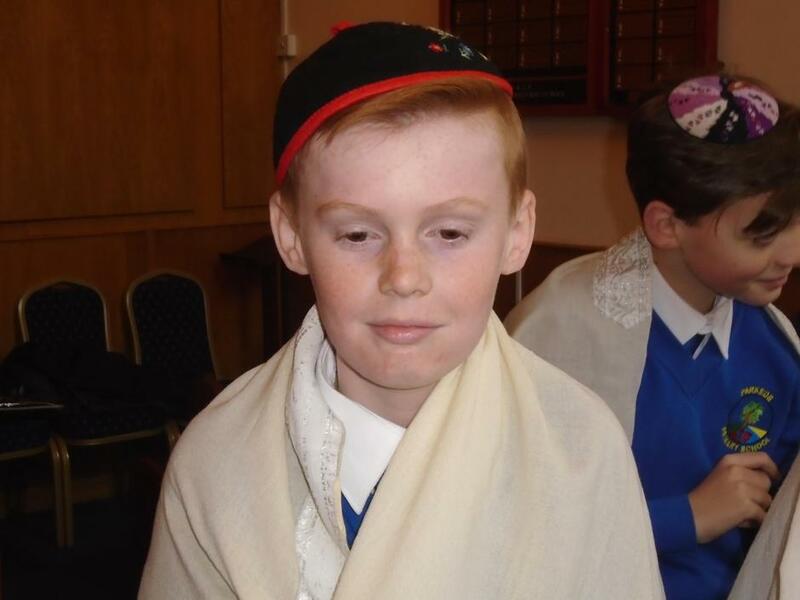 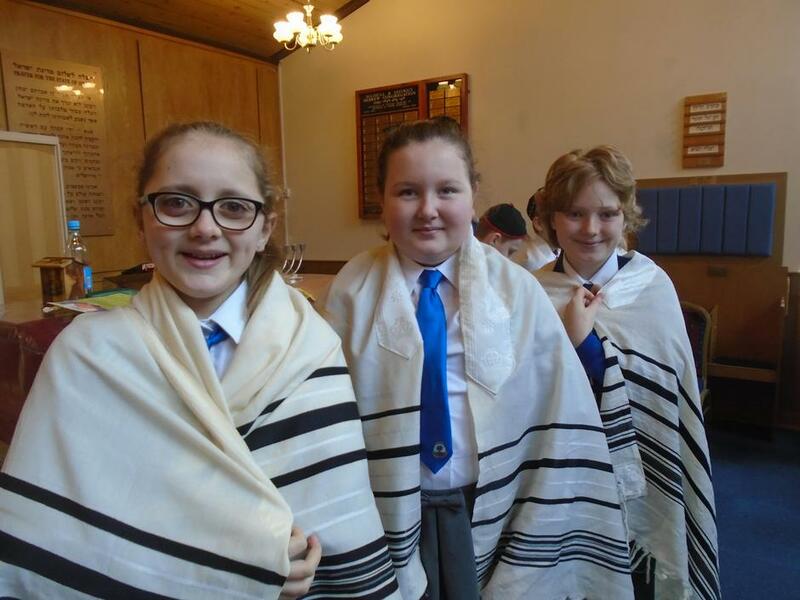 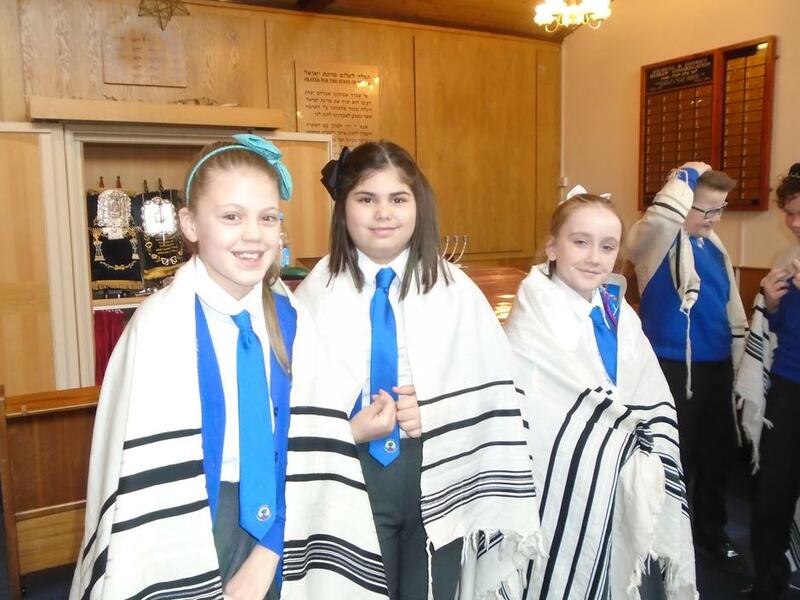 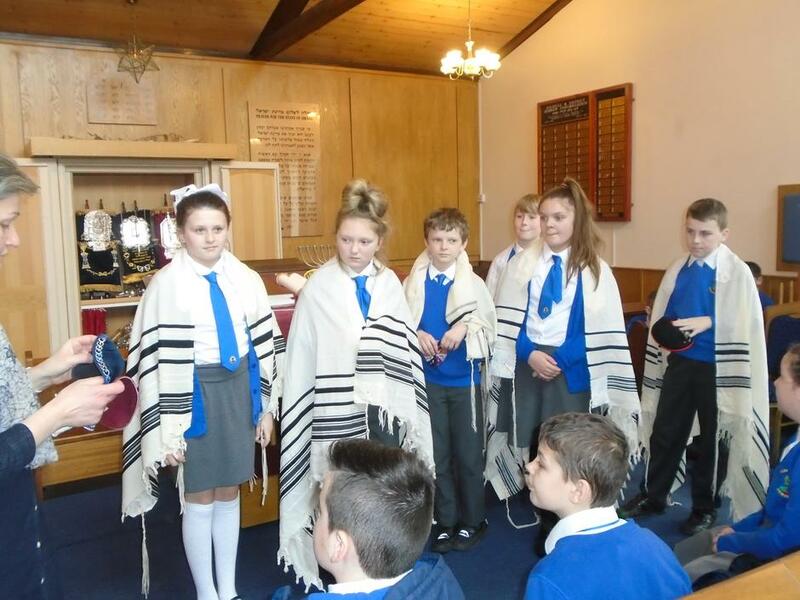 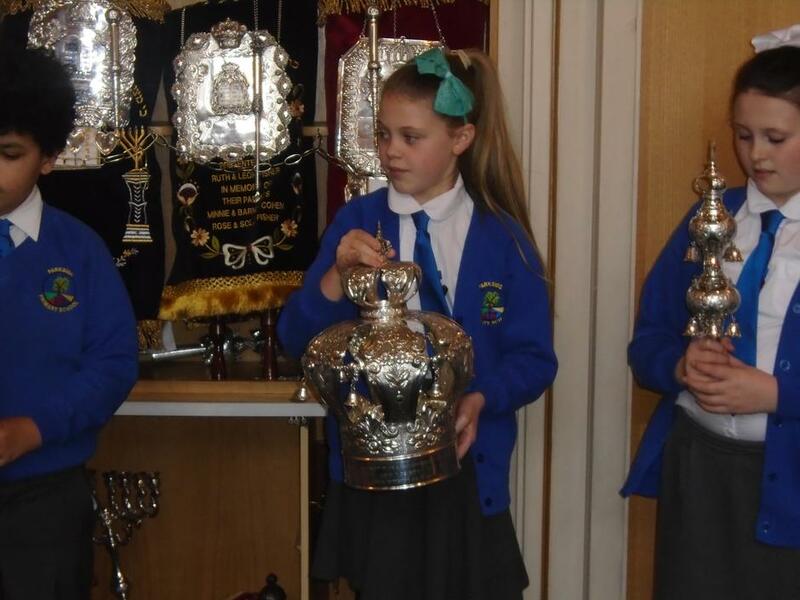 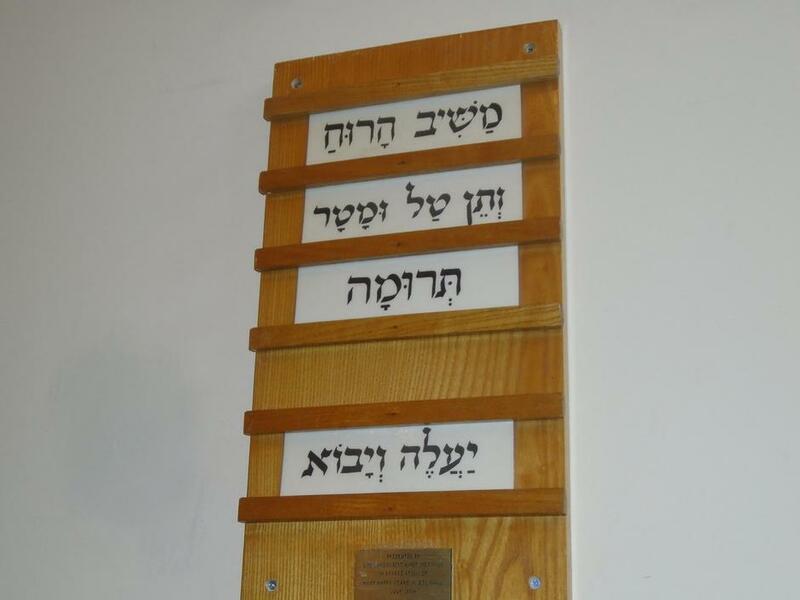 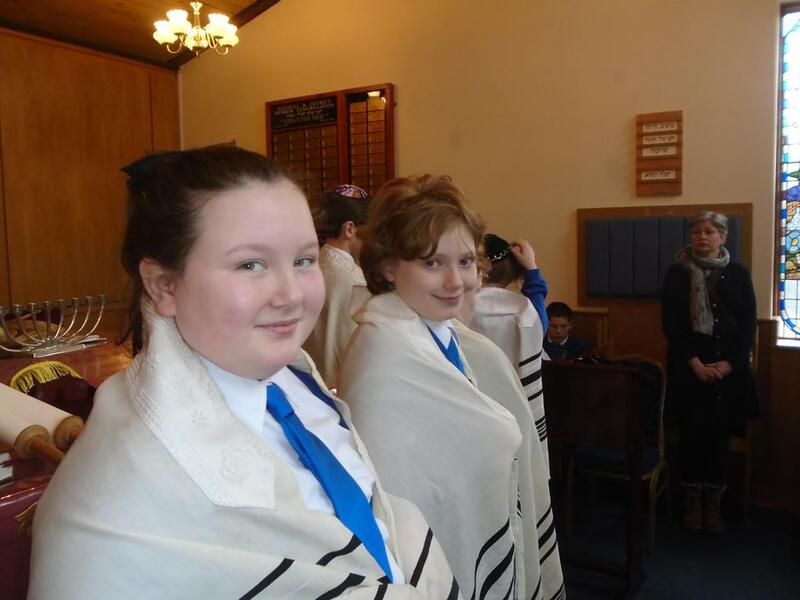 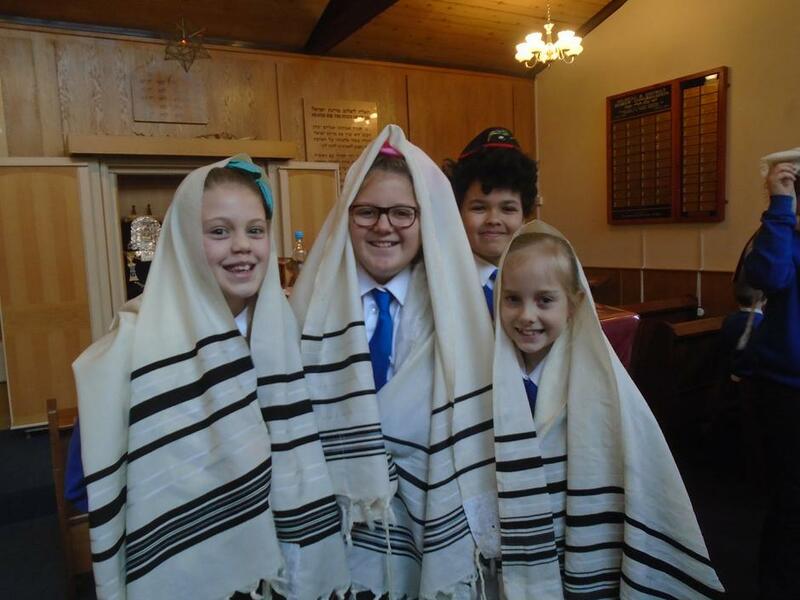 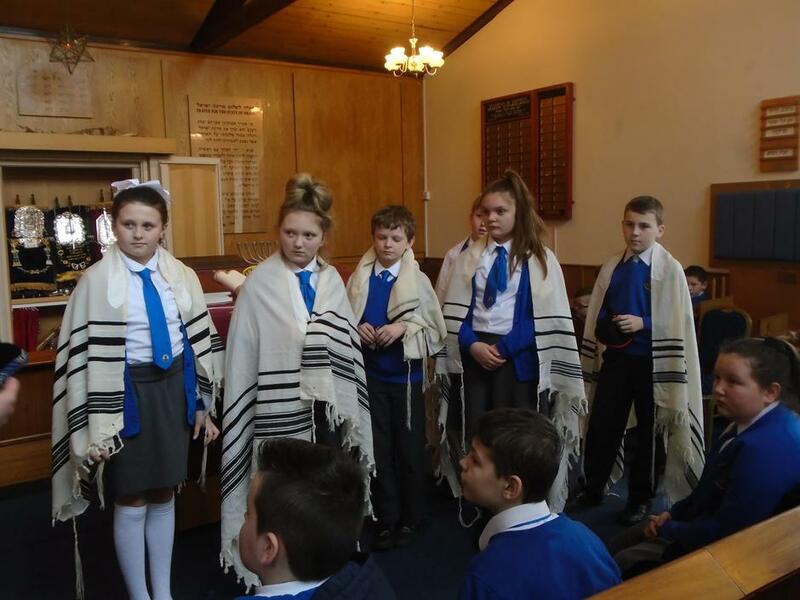 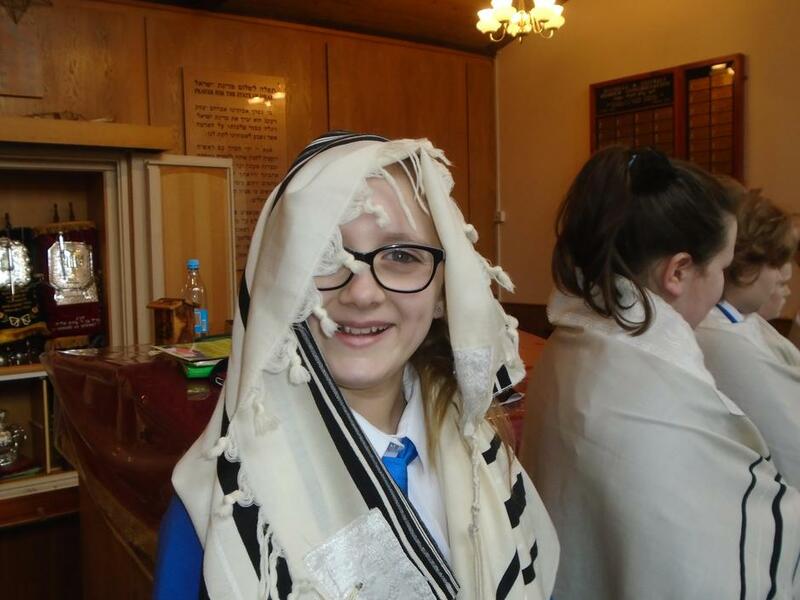 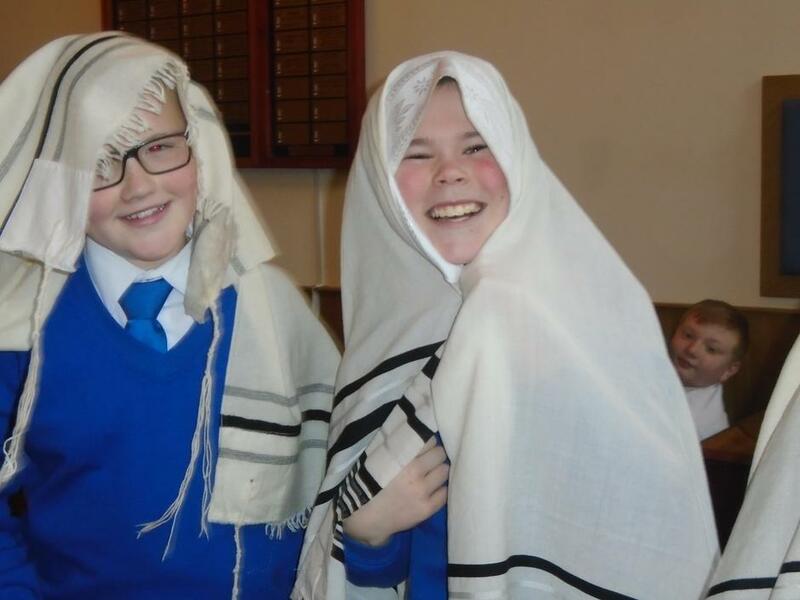 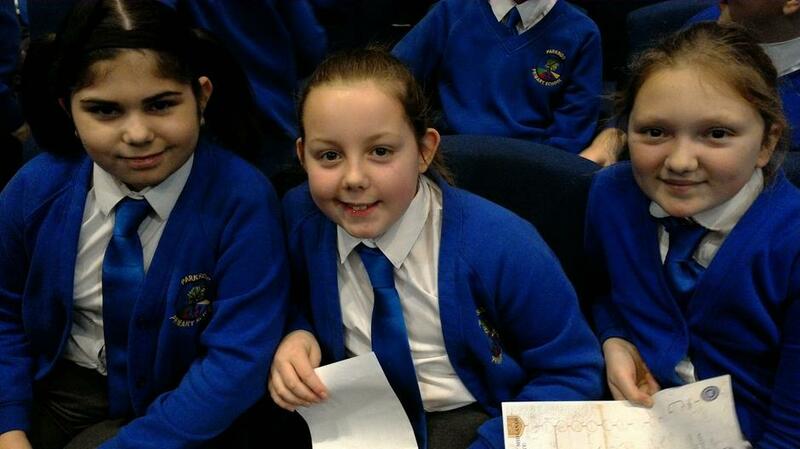 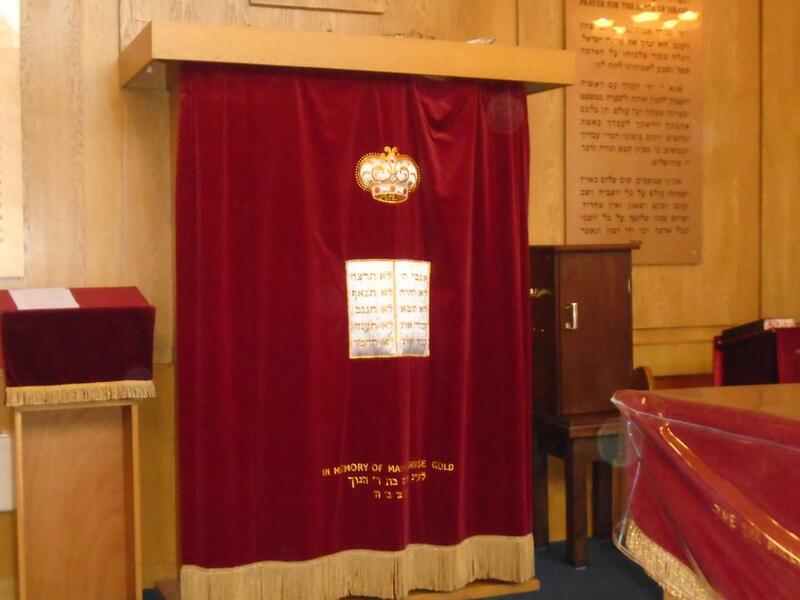 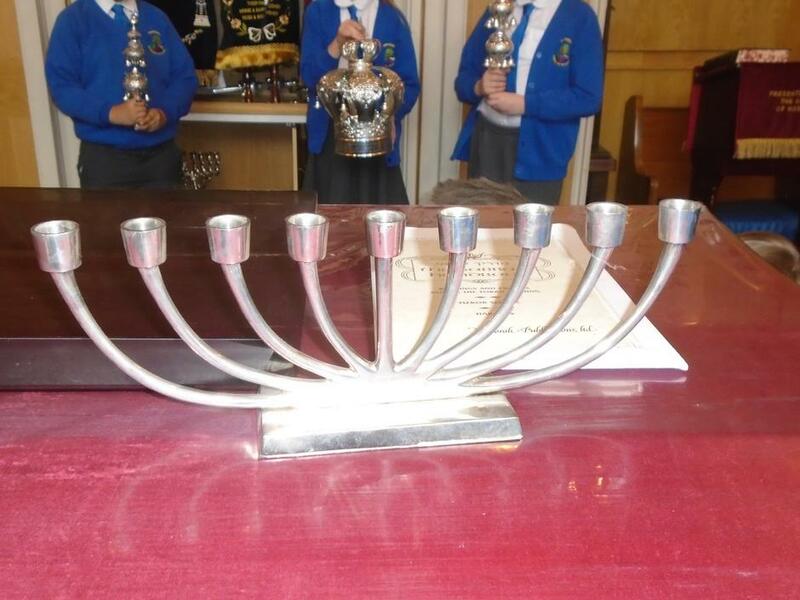 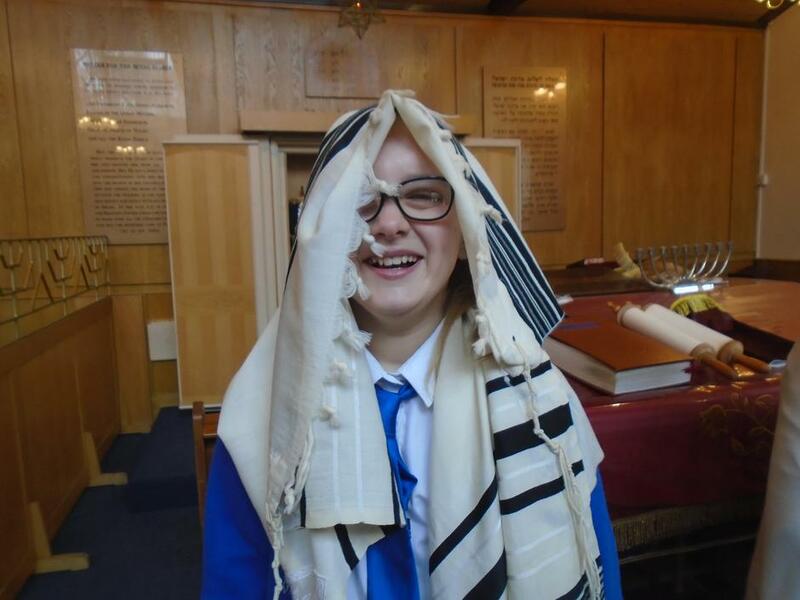 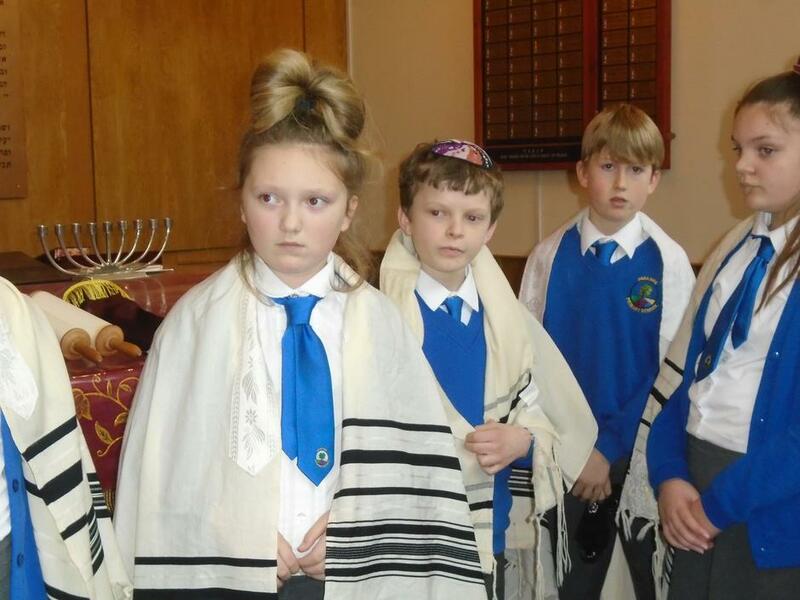 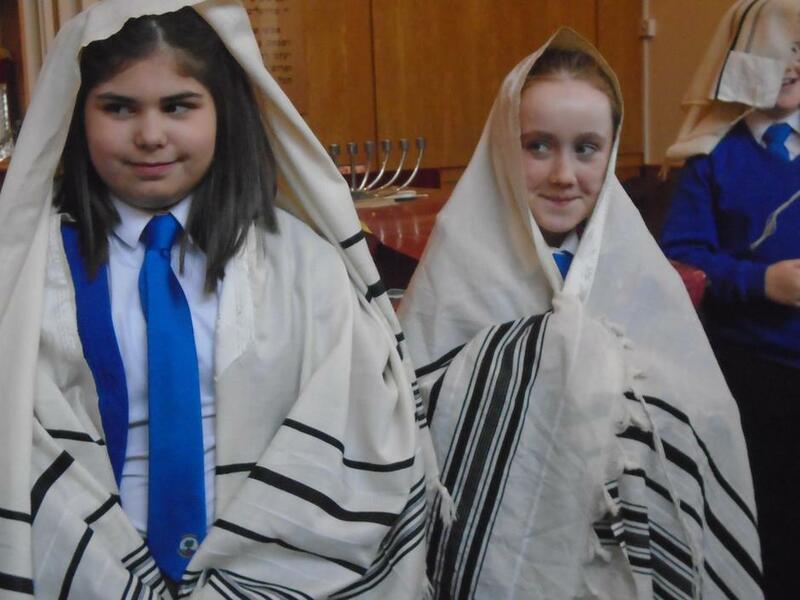 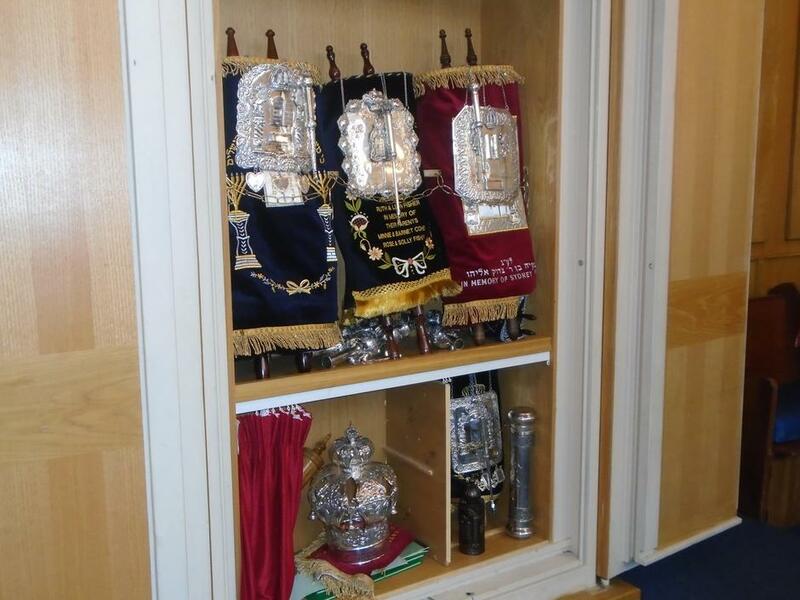 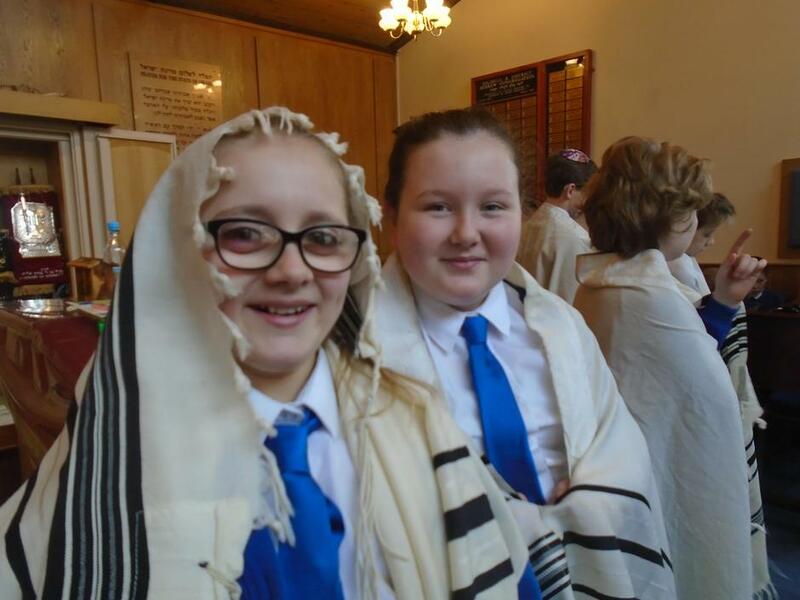 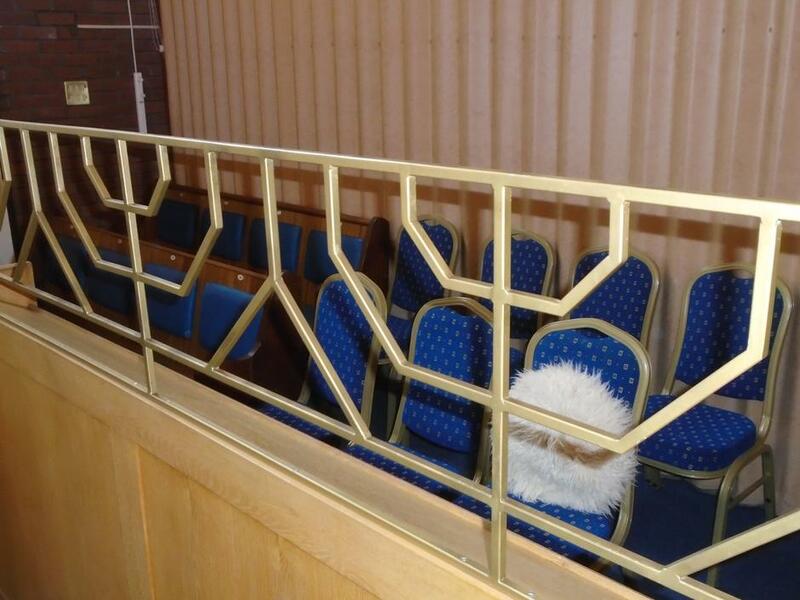 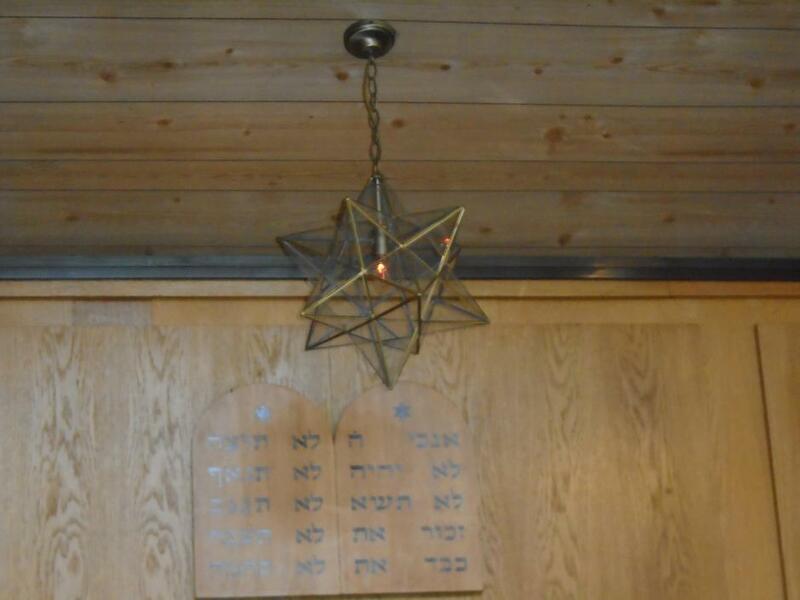 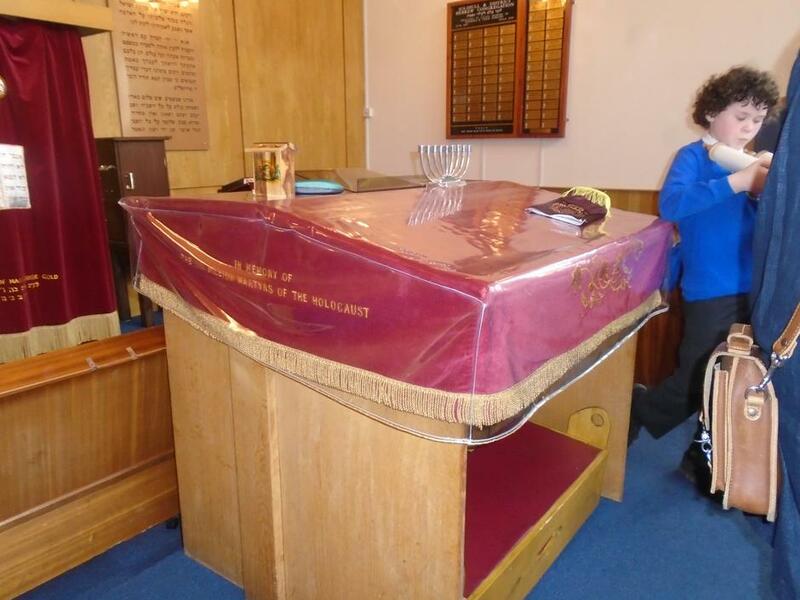 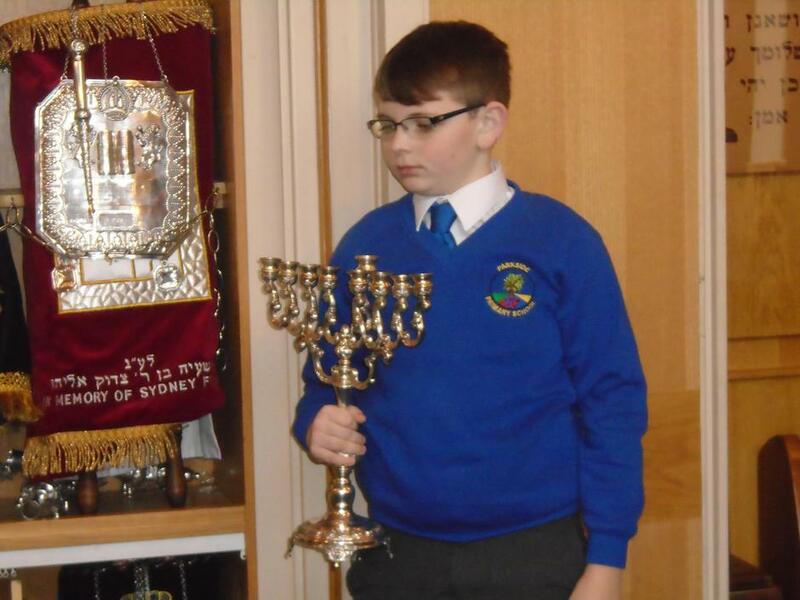 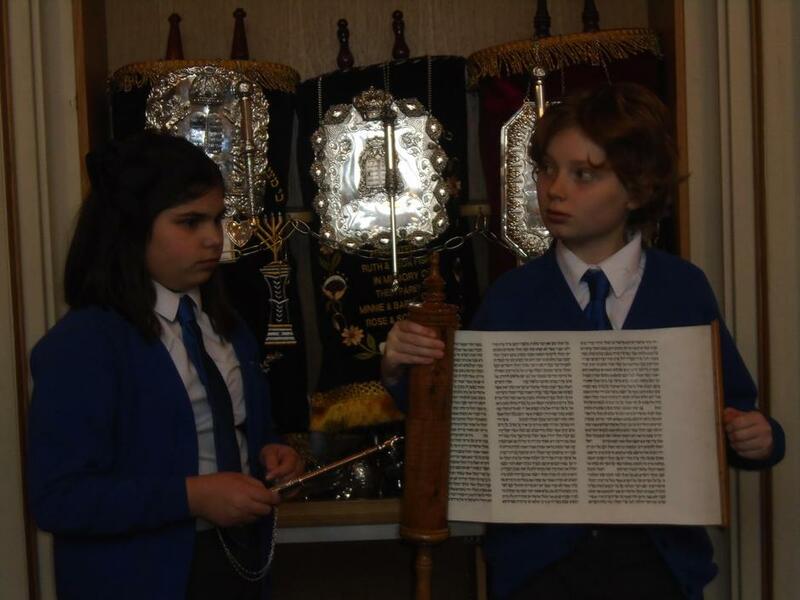 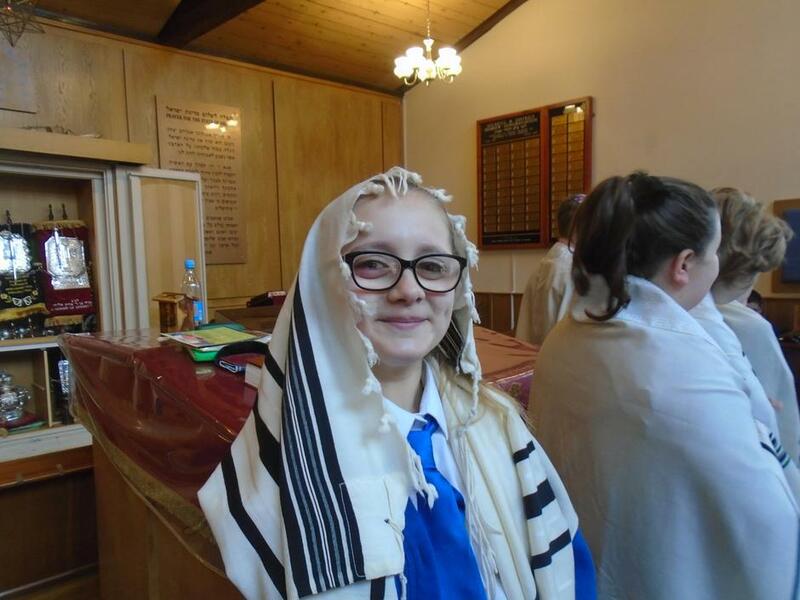 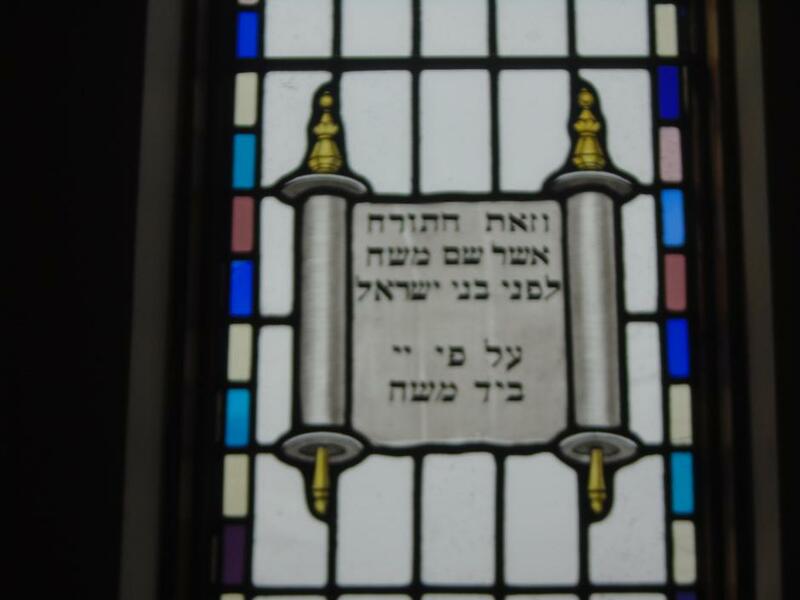 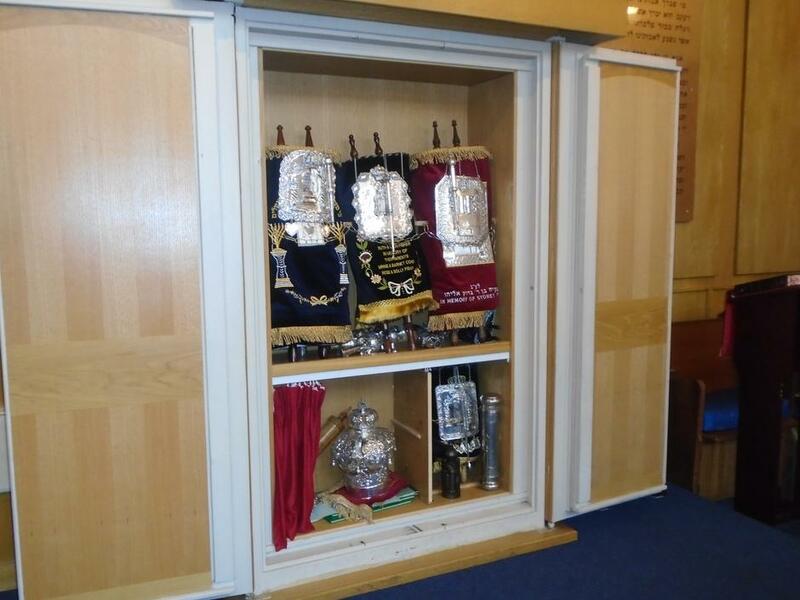 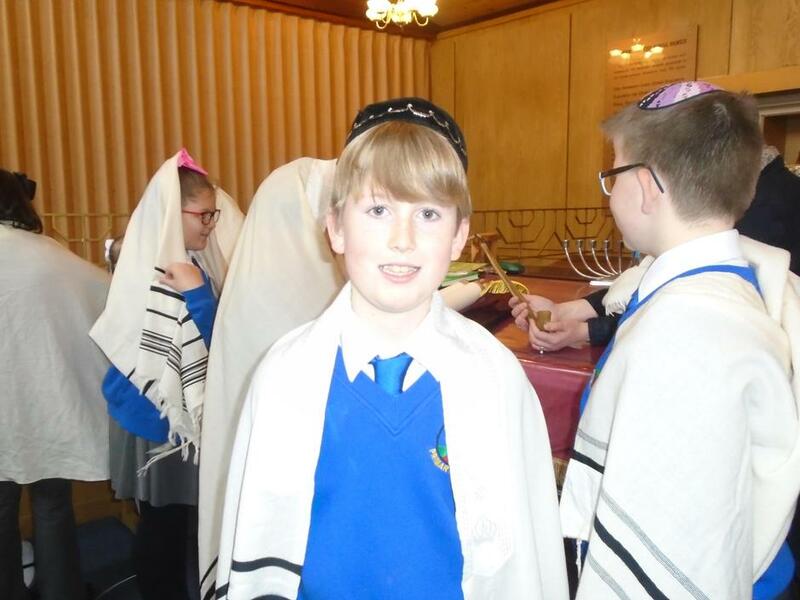 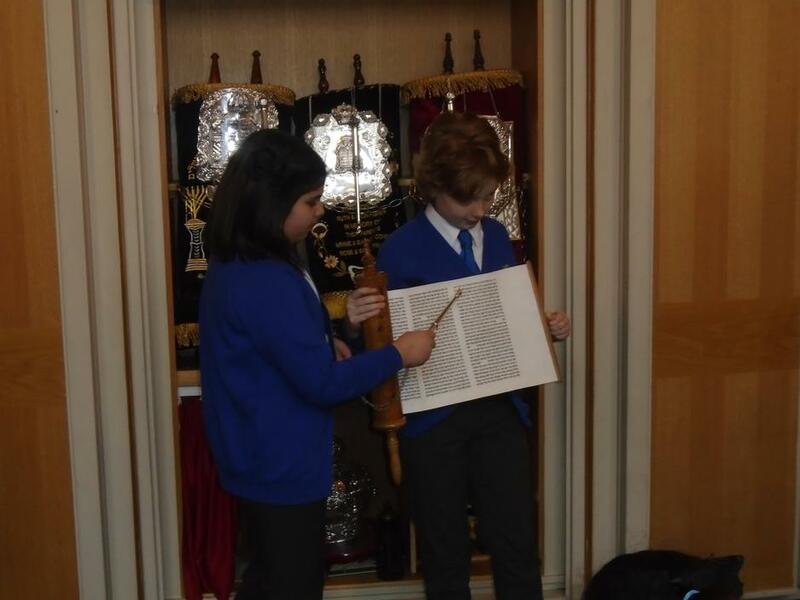 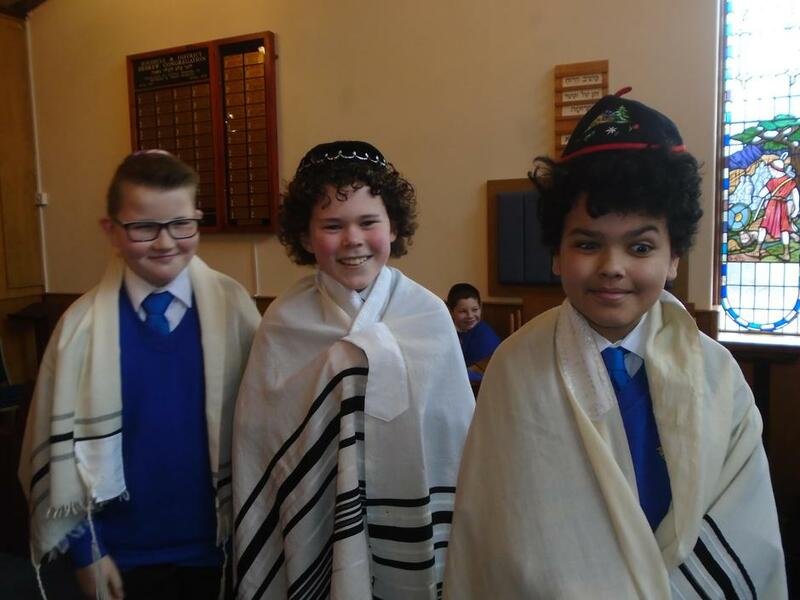 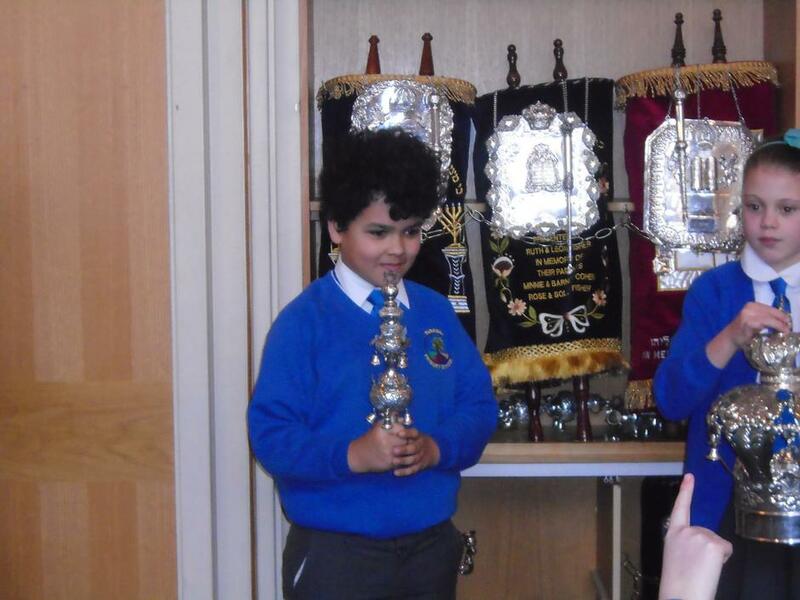 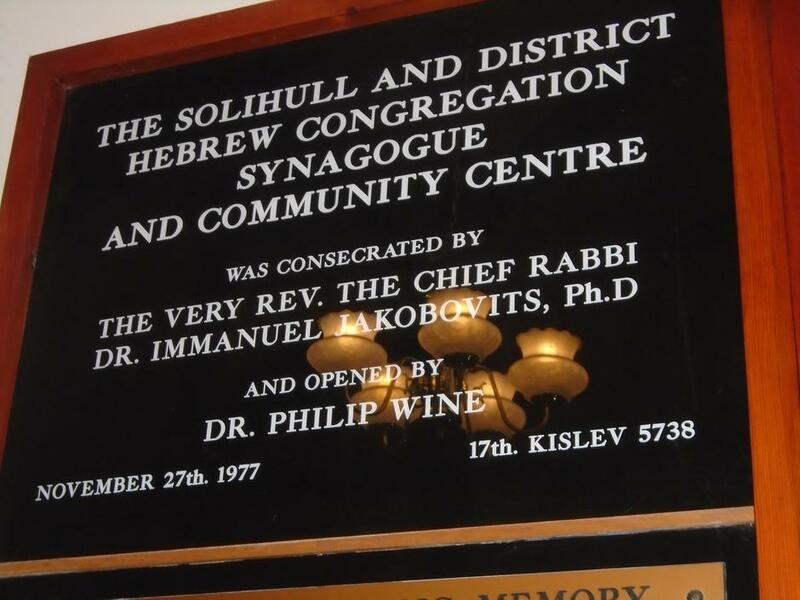 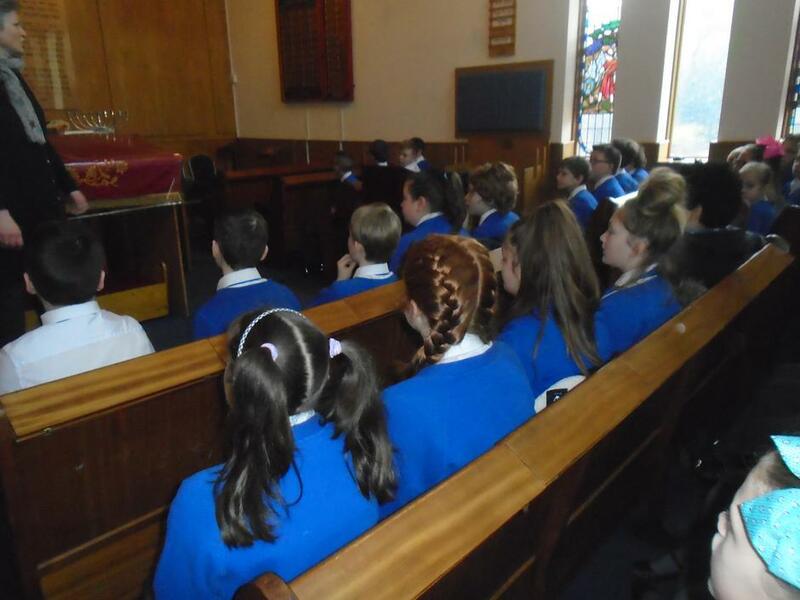 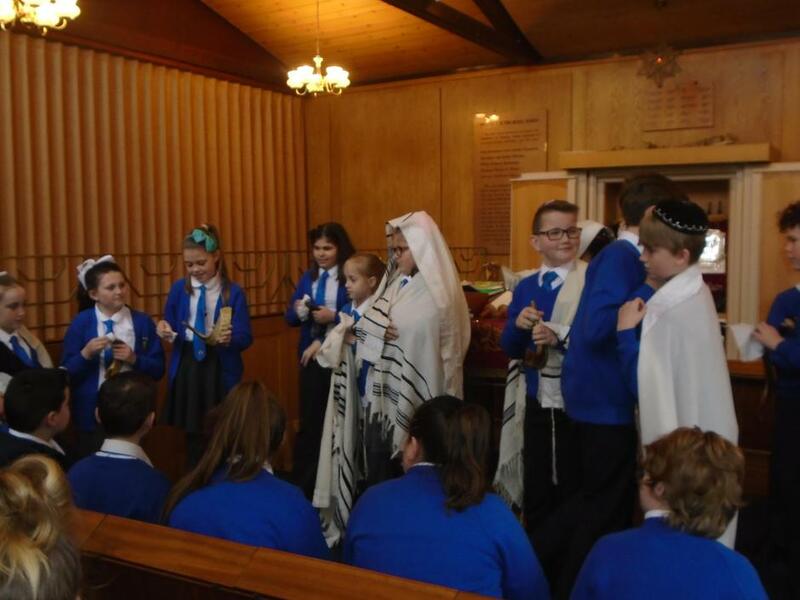 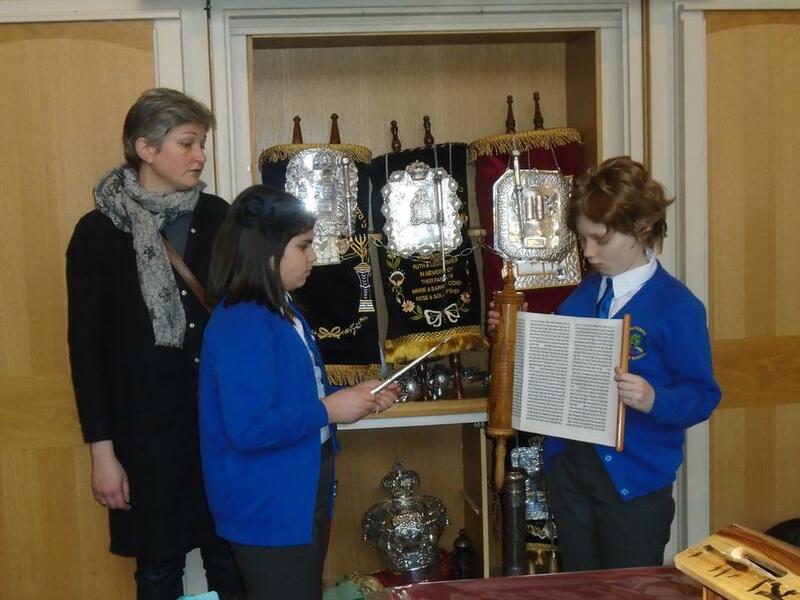 The children in Year Six visited Solihull Synagogue today to support their understanding of the Jewish Faith. 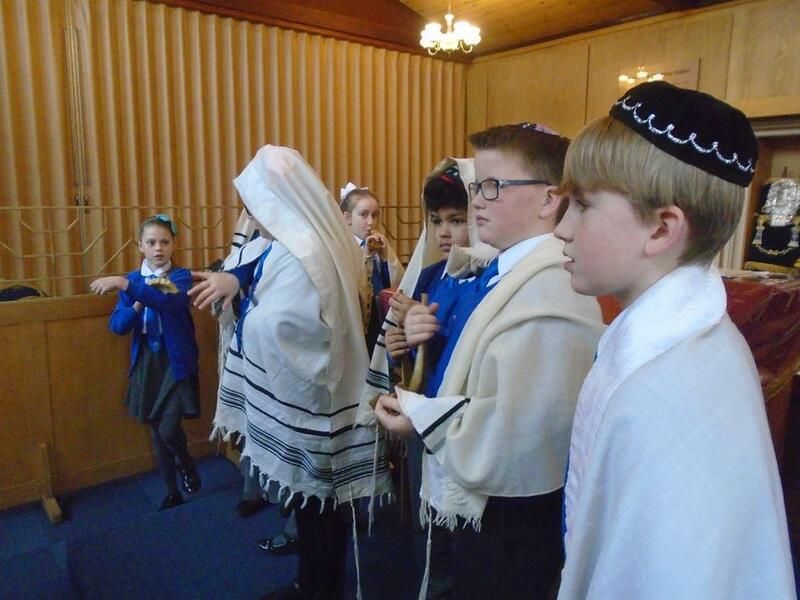 Over this school year, in RE, the children have been drawing parallels between Christianity and Judaism - comparing practices, traditions and beliefs. 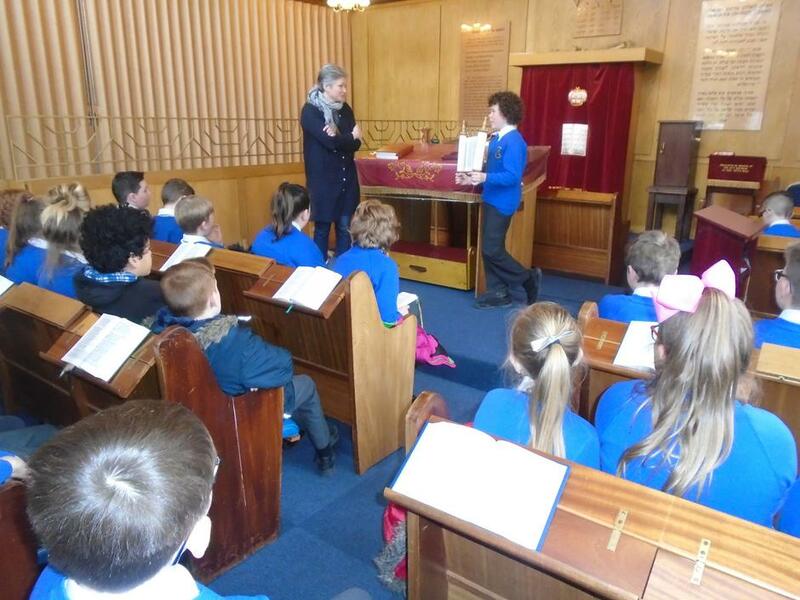 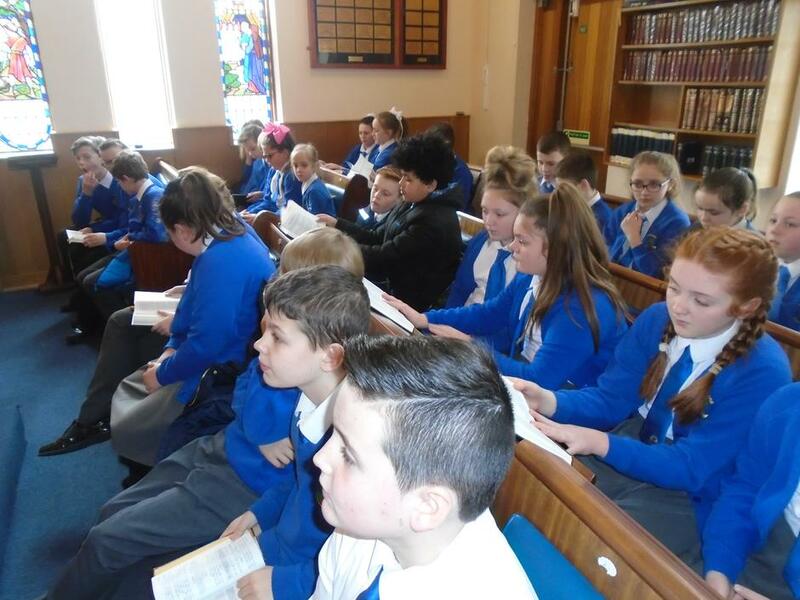 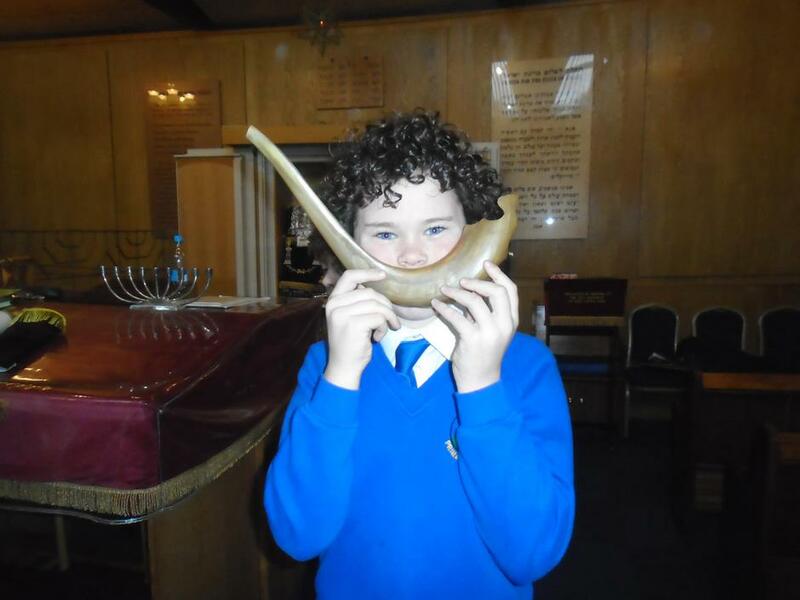 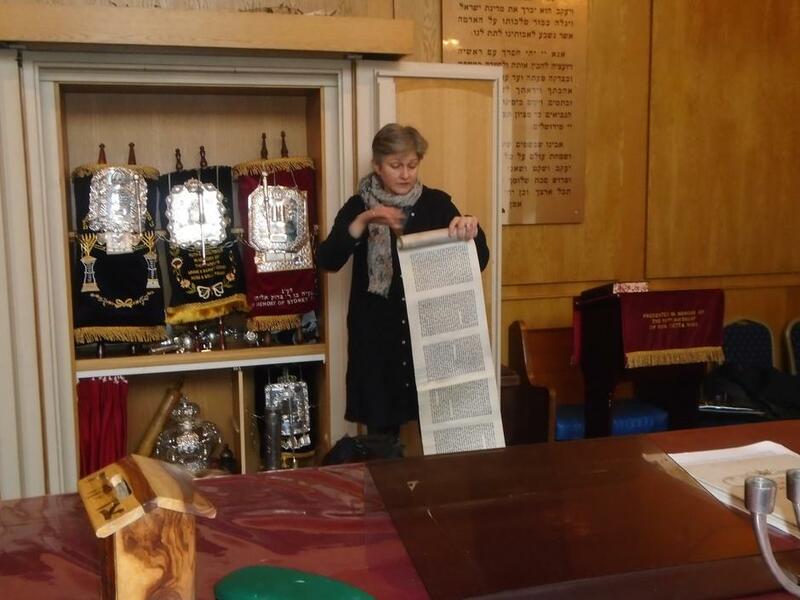 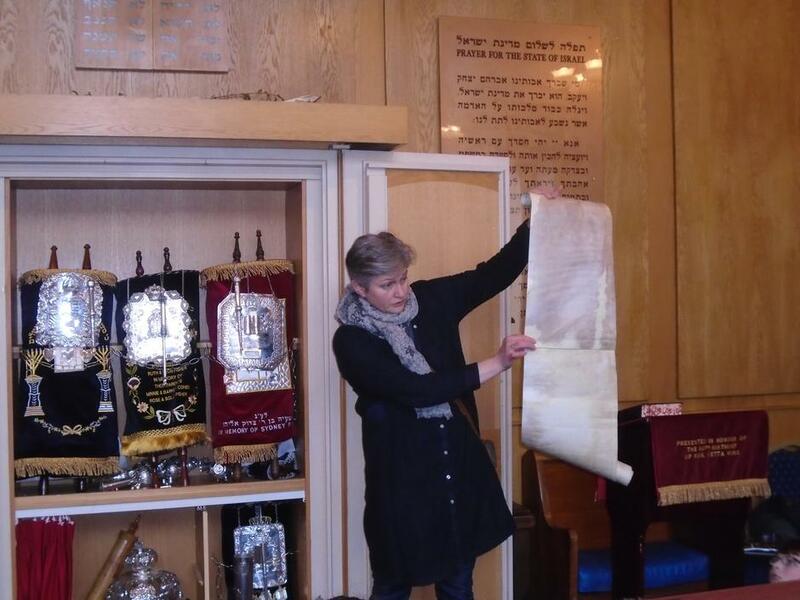 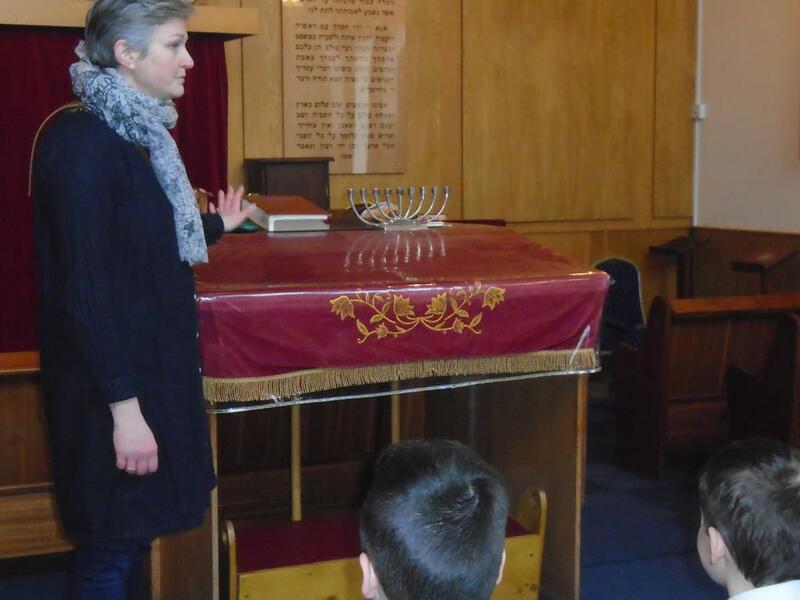 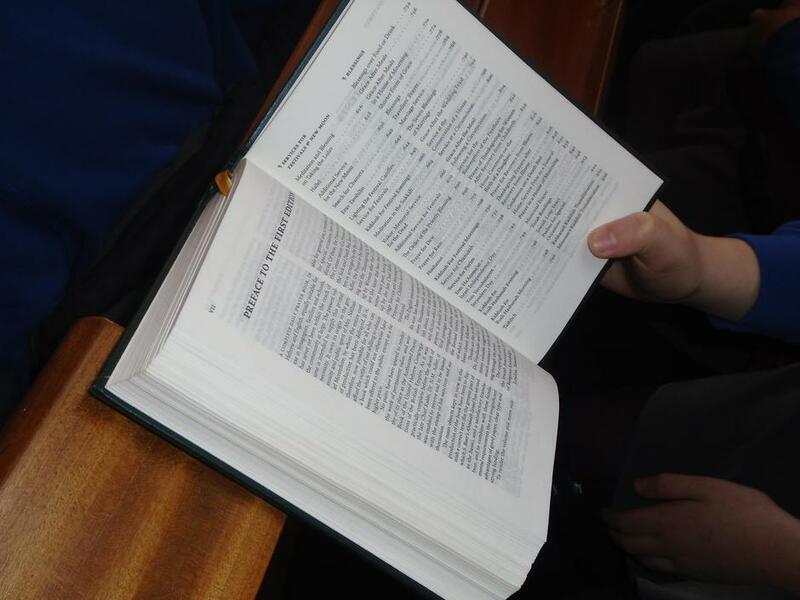 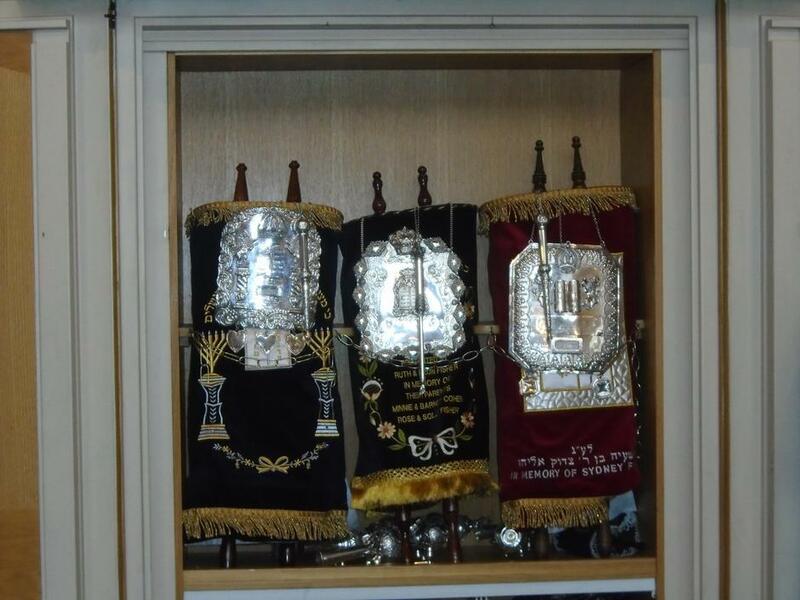 Going out to the synagogue today really helped the children experience first hand much of what they have learnt. 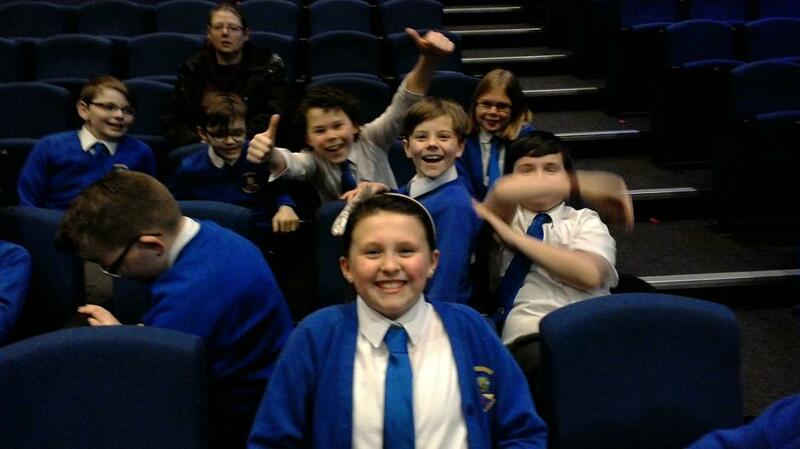 They were - as always- a pleasure to be out with! 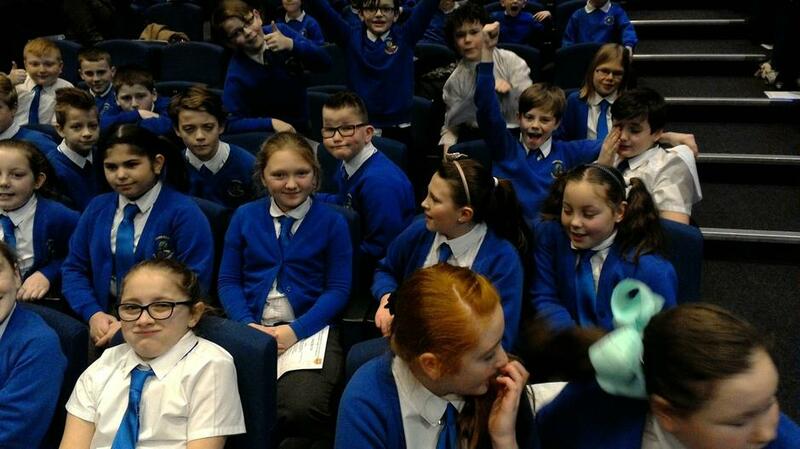 Below are some photos of the things they saw! 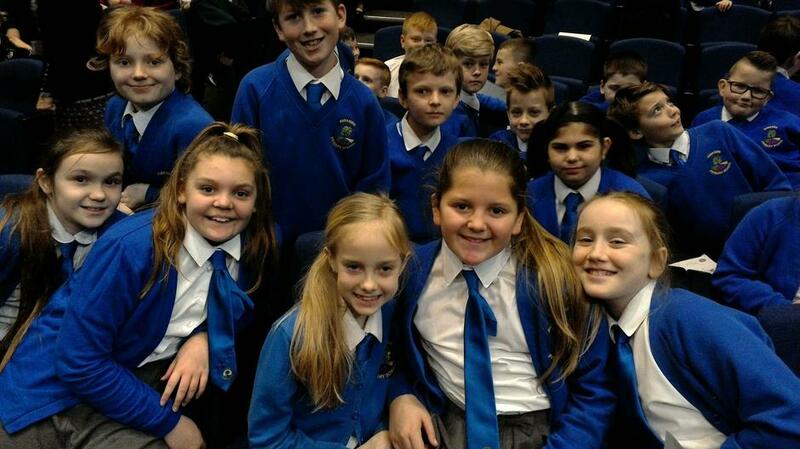 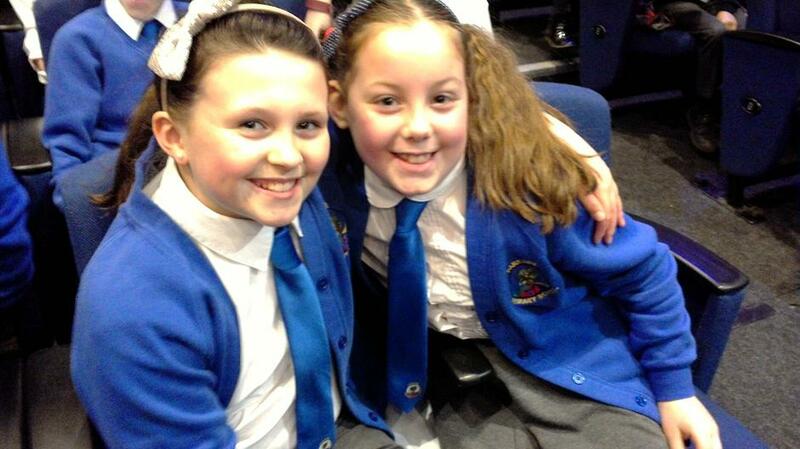 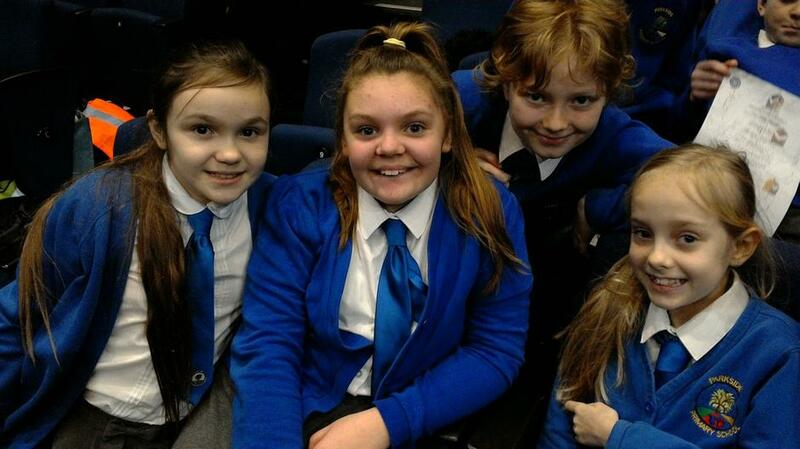 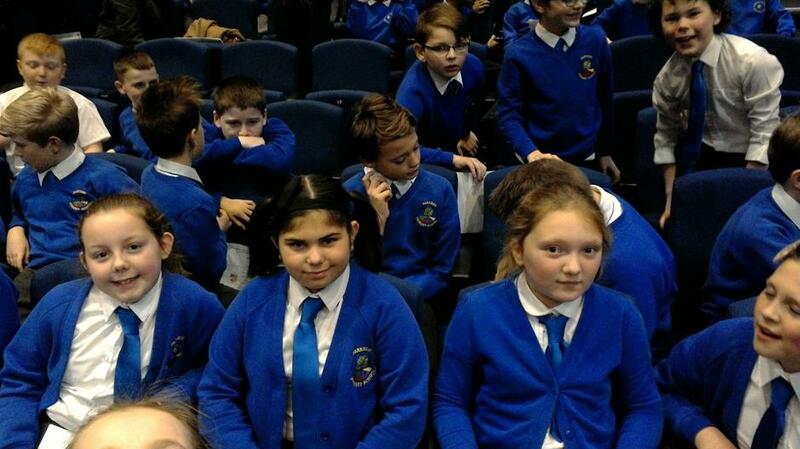 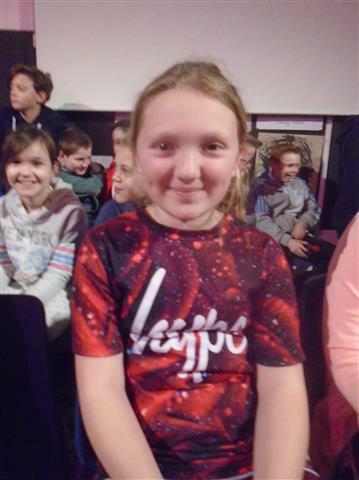 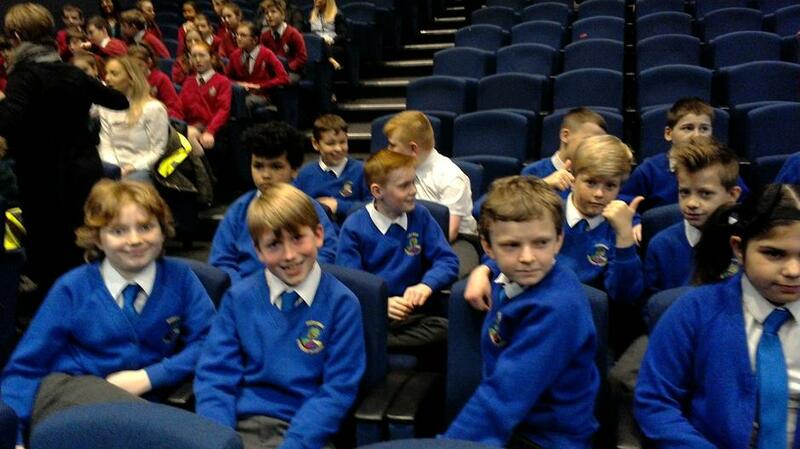 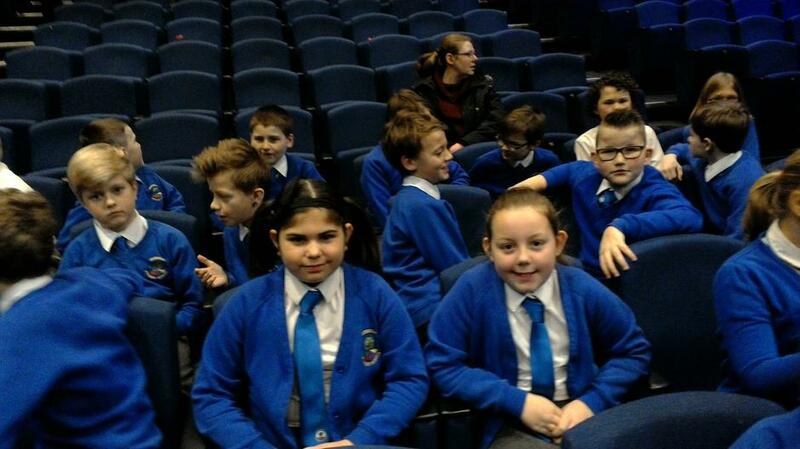 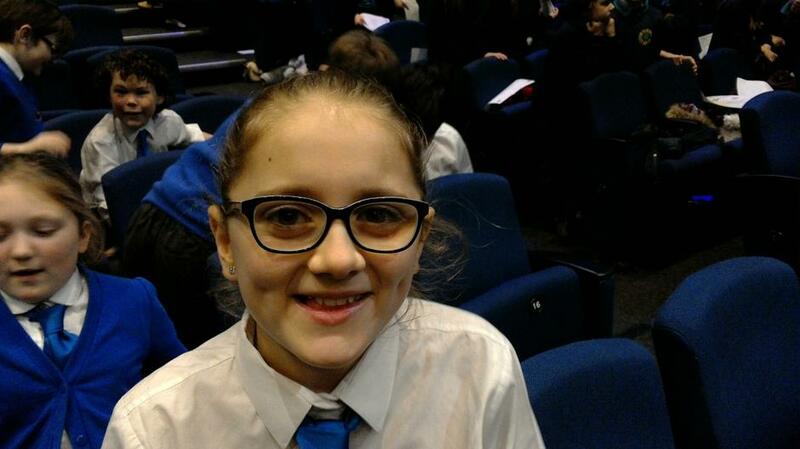 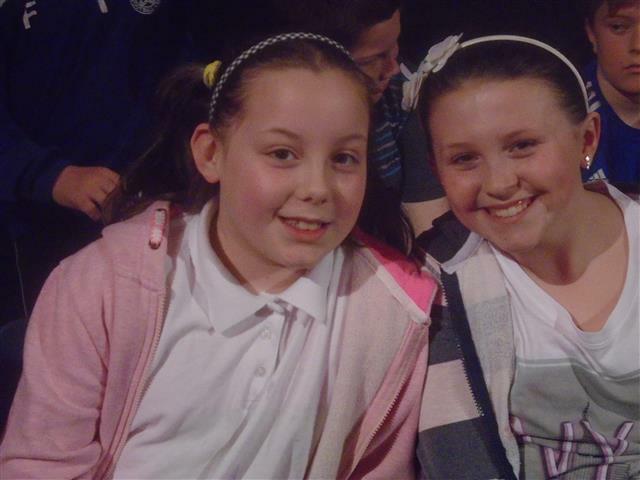 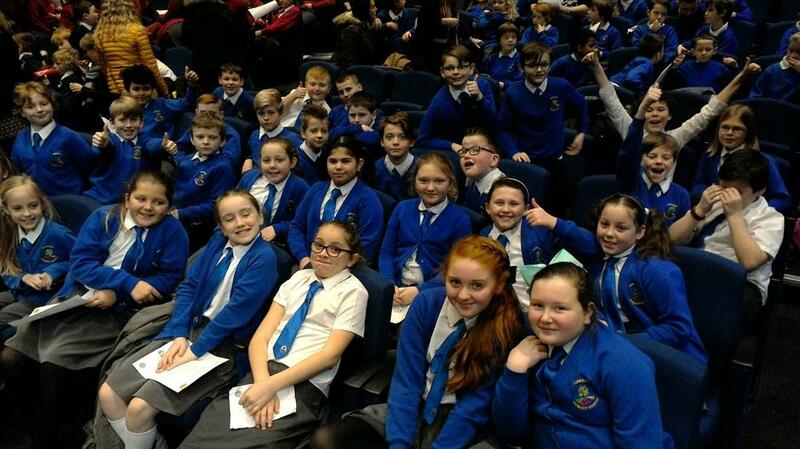 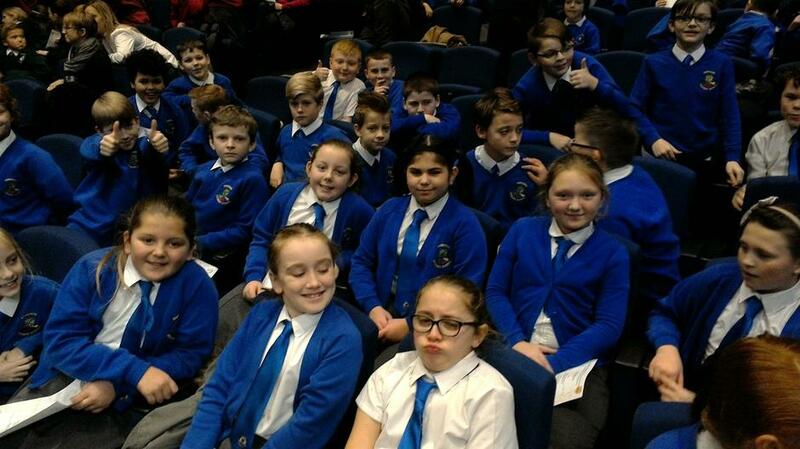 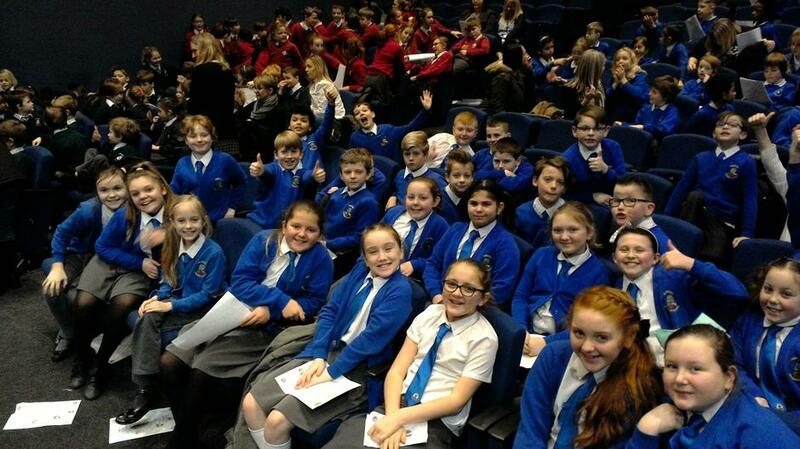 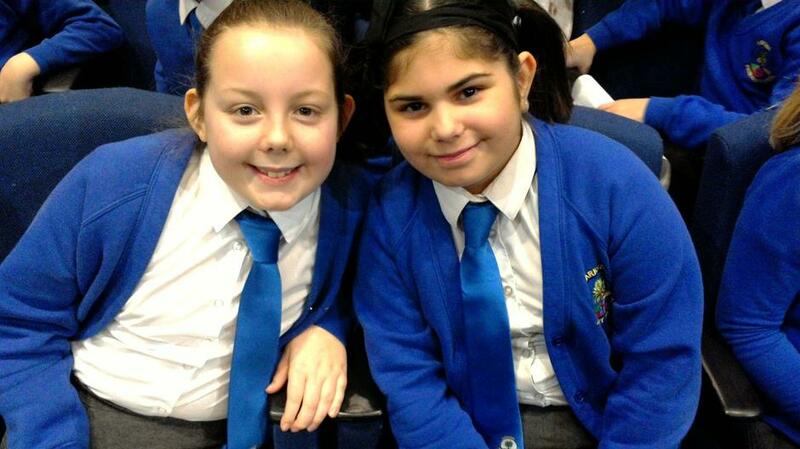 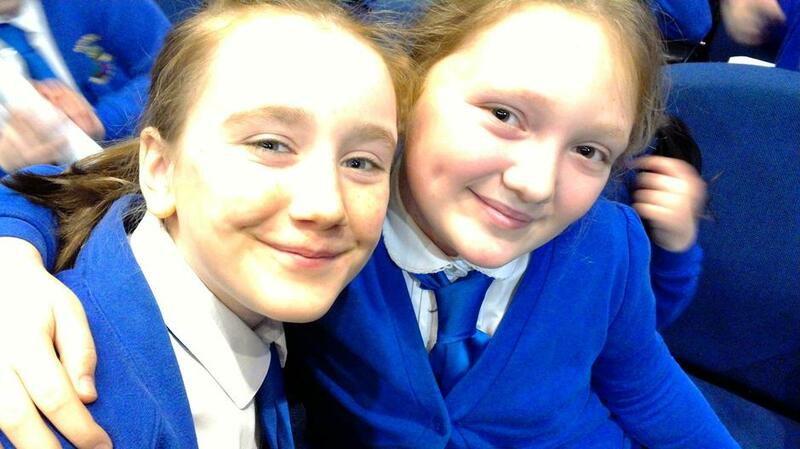 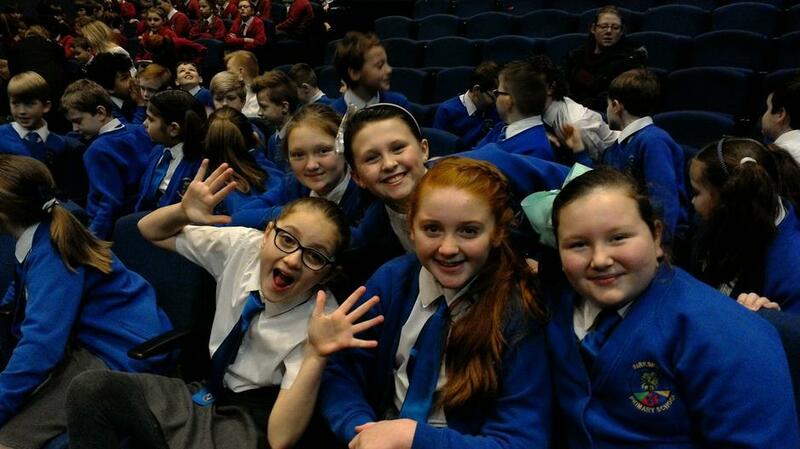 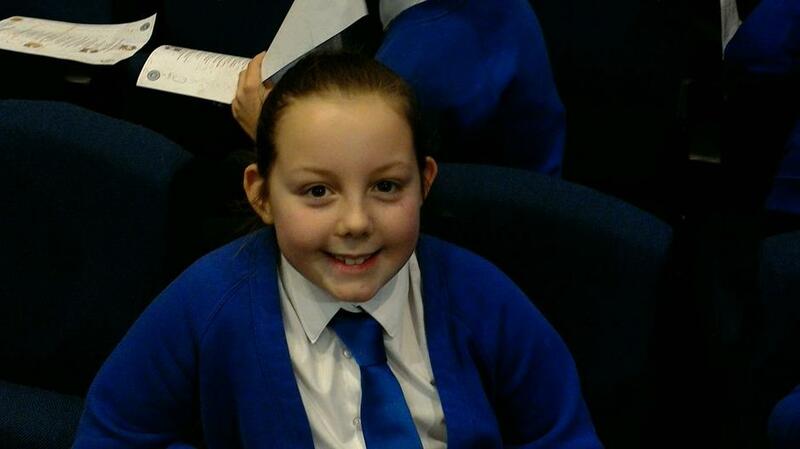 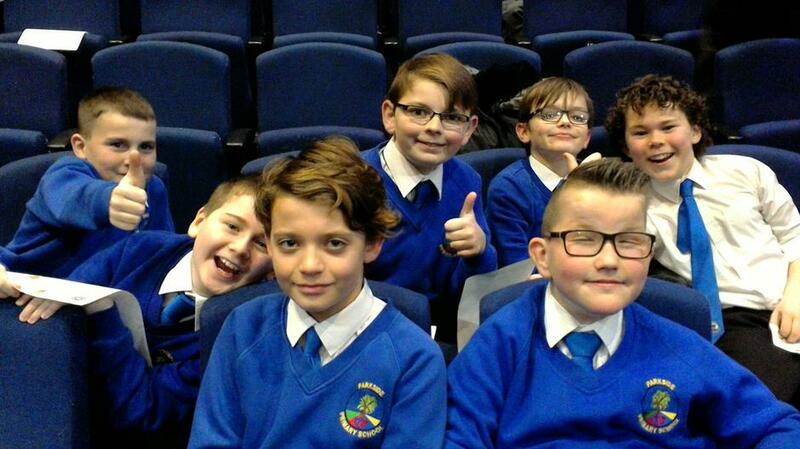 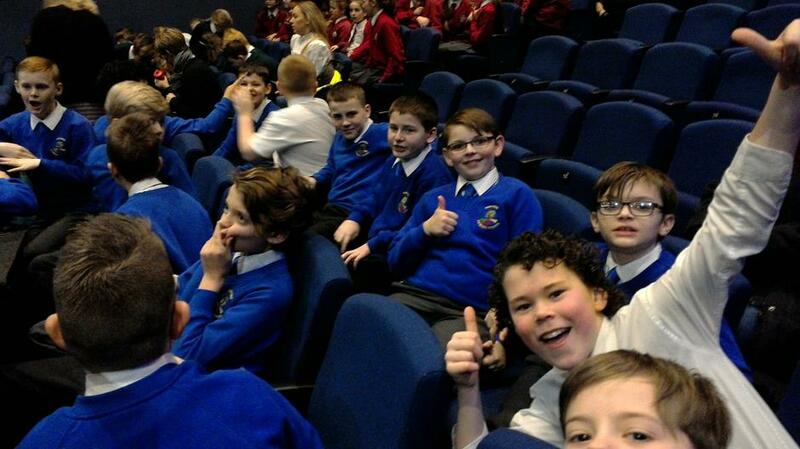 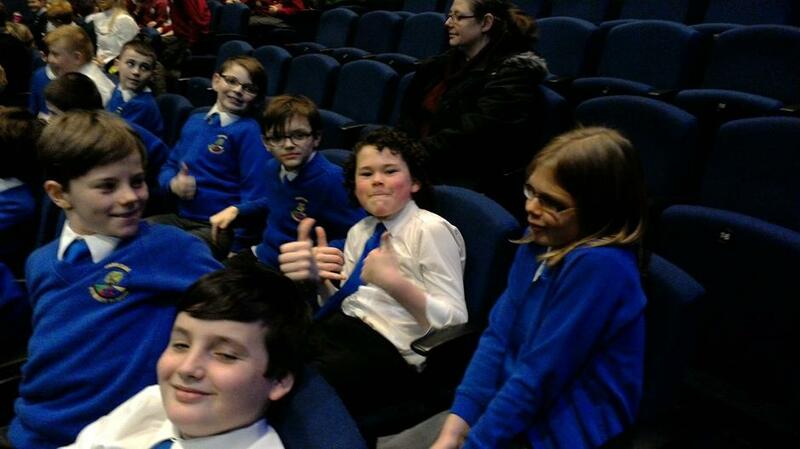 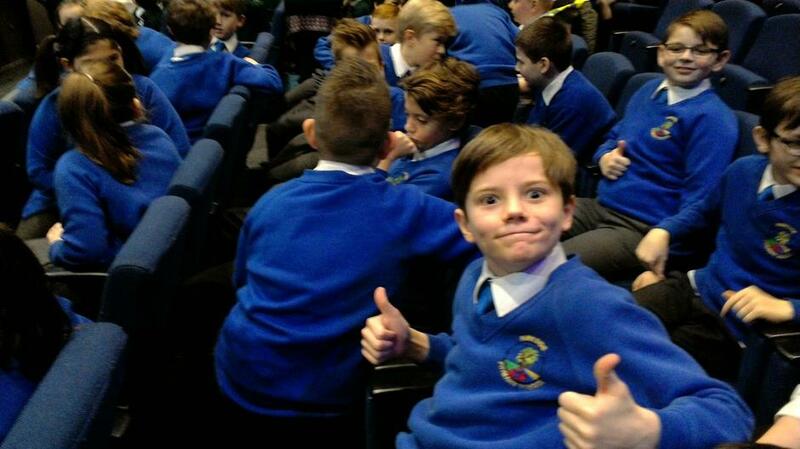 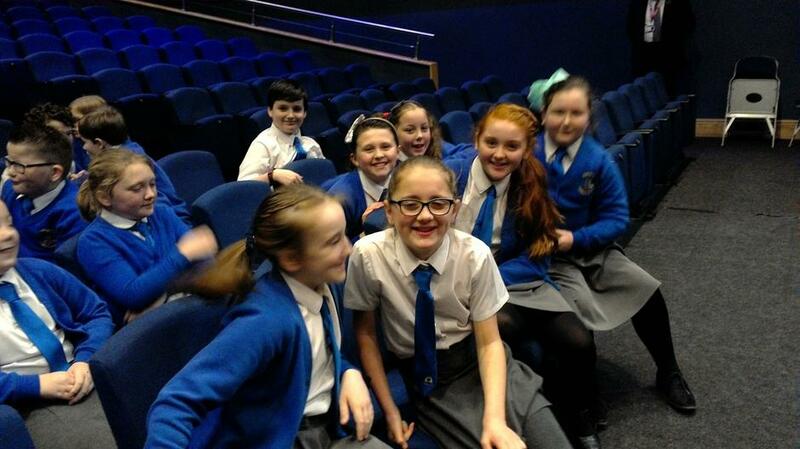 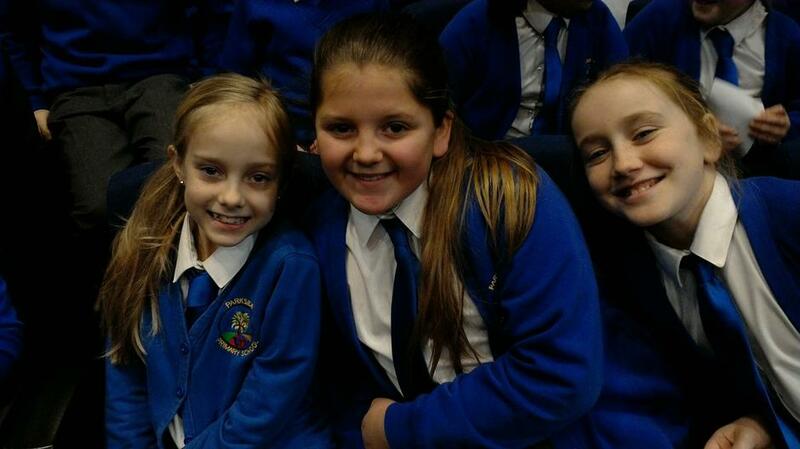 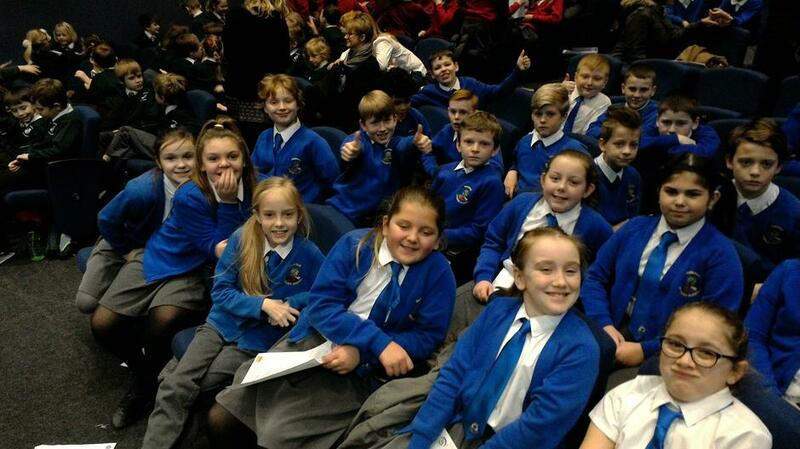 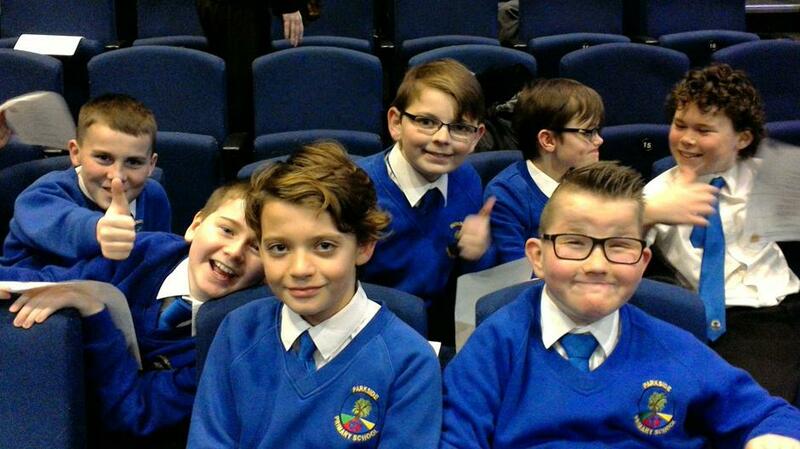 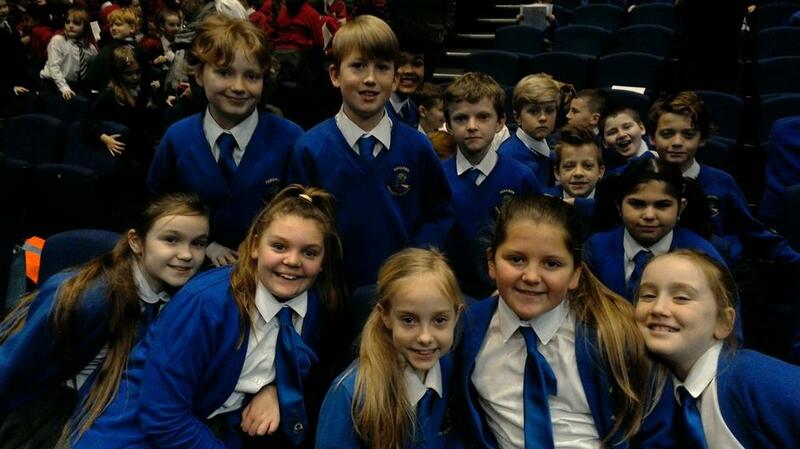 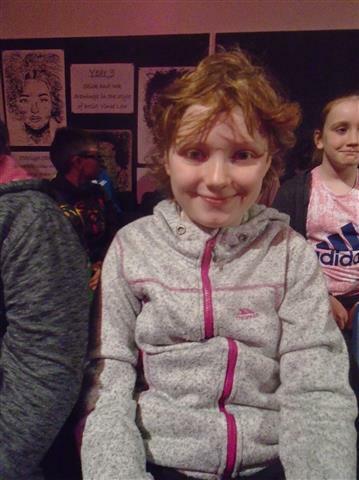 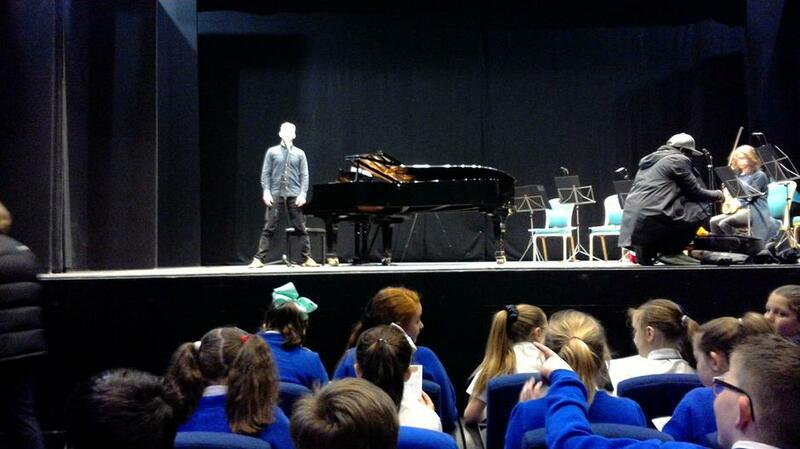 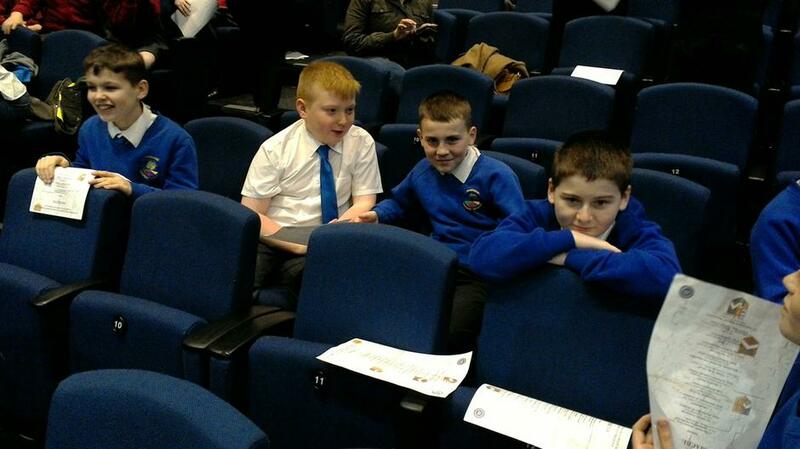 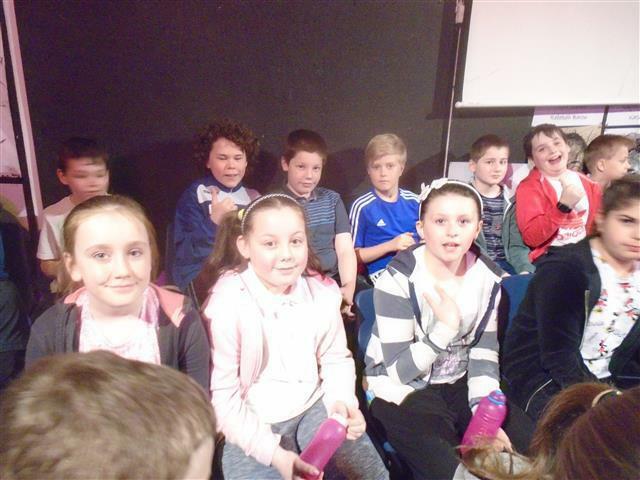 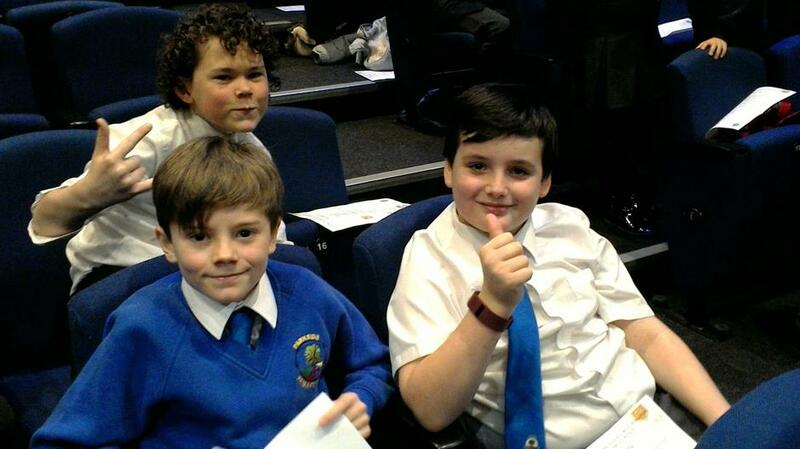 This morning Year Six went along to Stafford Gatehouse where they performed alongside 4 other schools. 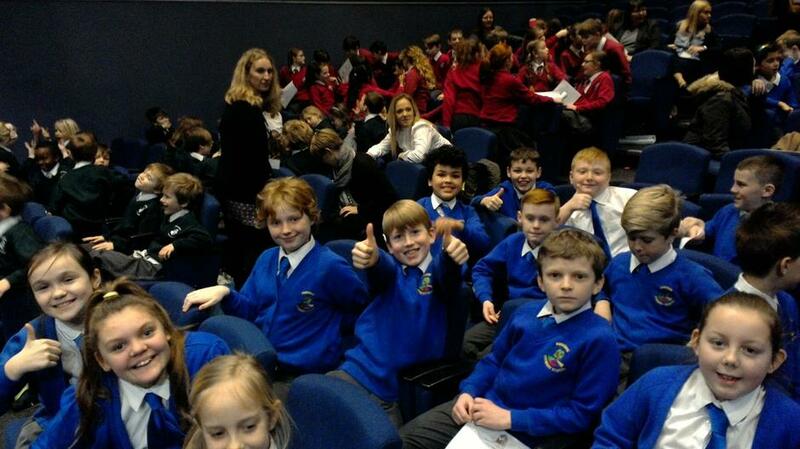 This was the second part of the Manchester Camerata Shakespeare music workshop. 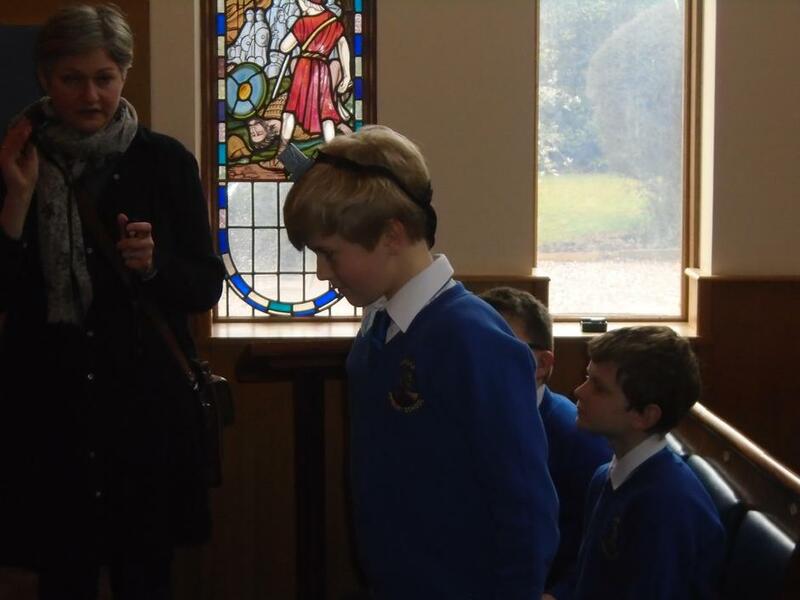 This time they performed the part of 'Macbeth' which they had composed back in January. 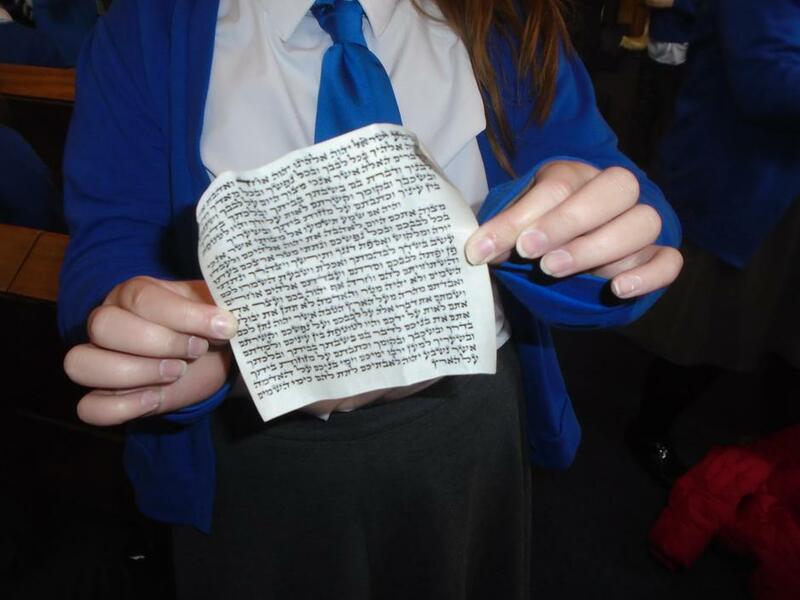 These are their song lyrics - composed by themselves! 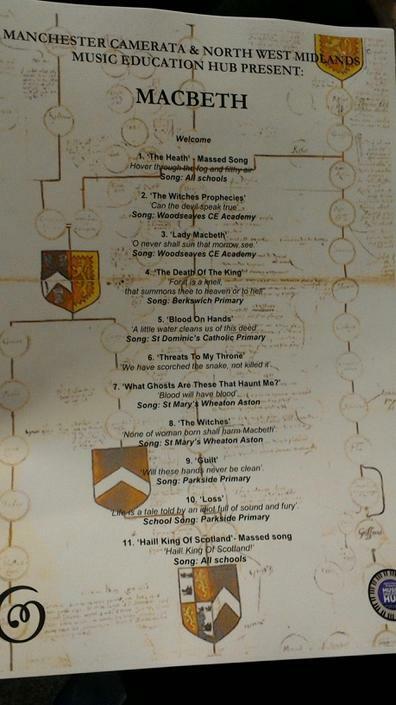 The darkest treachery; a royal tragedy; this fear is farming guilty dreams. 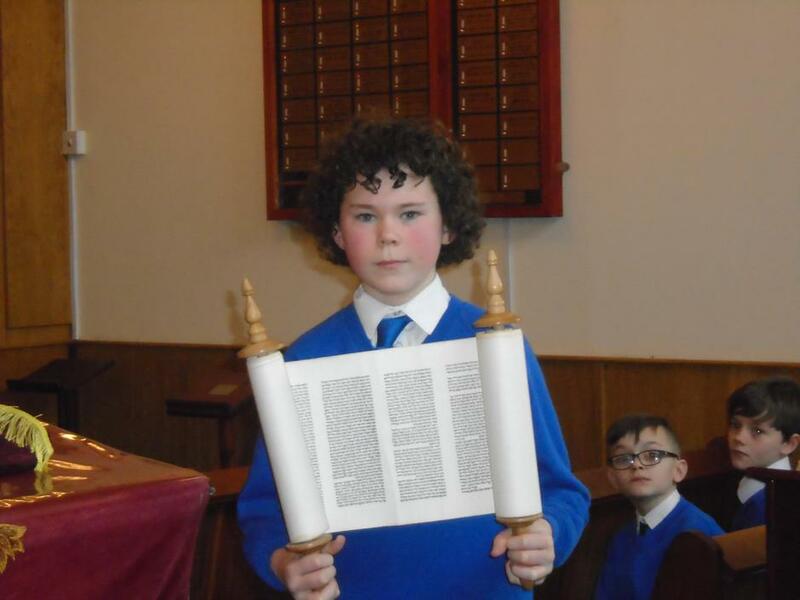 Why didn’t I stop him? 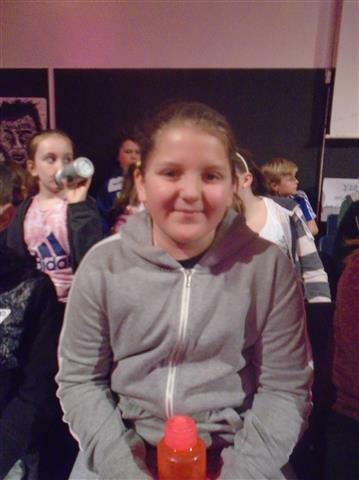 I’m such a fool! 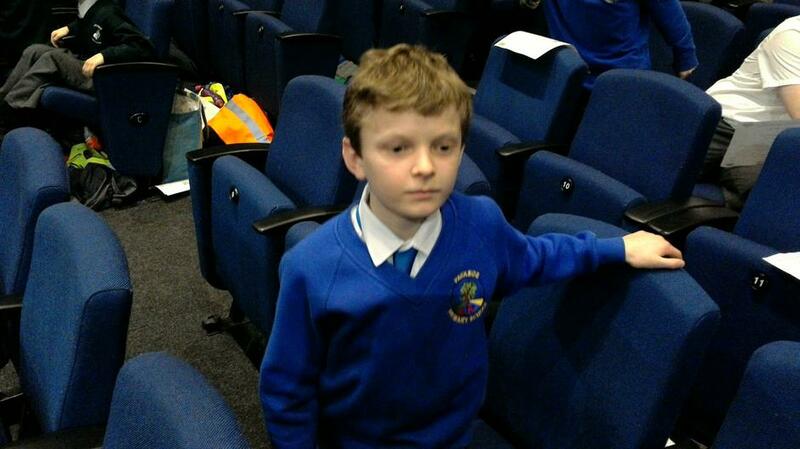 These tears of guilt are tearing me apart. 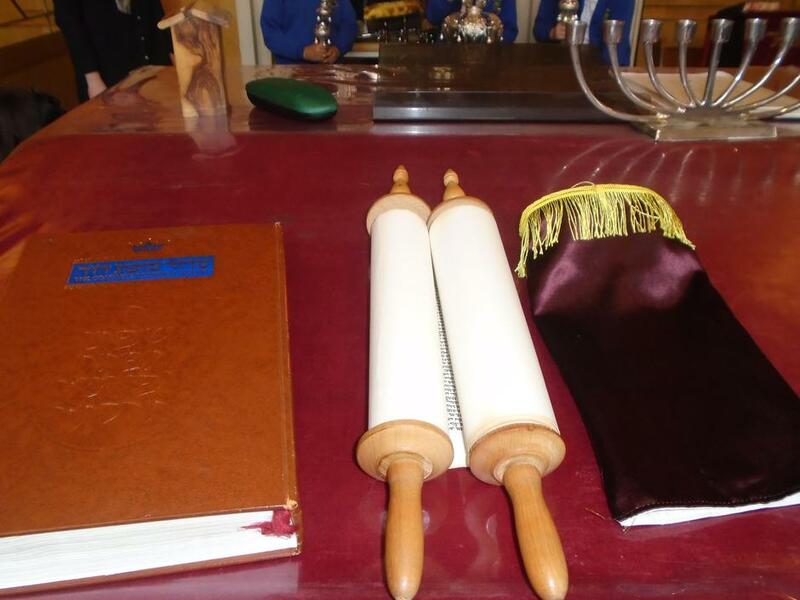 Will these hands ever be clean? 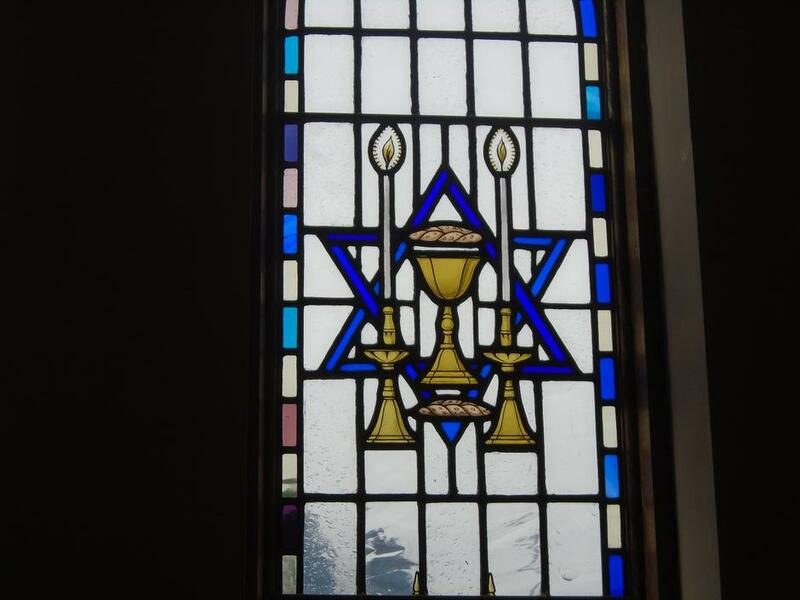 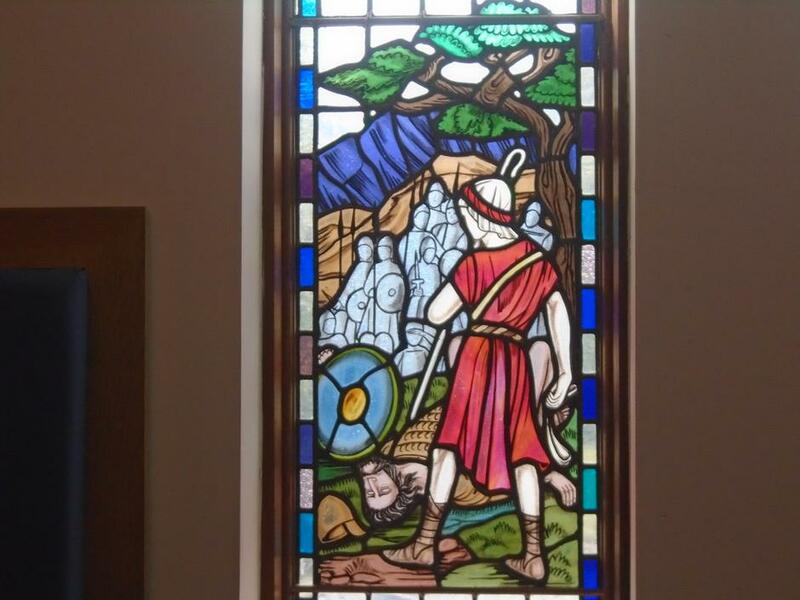 Shaken fears; bloody tears; my death nears! 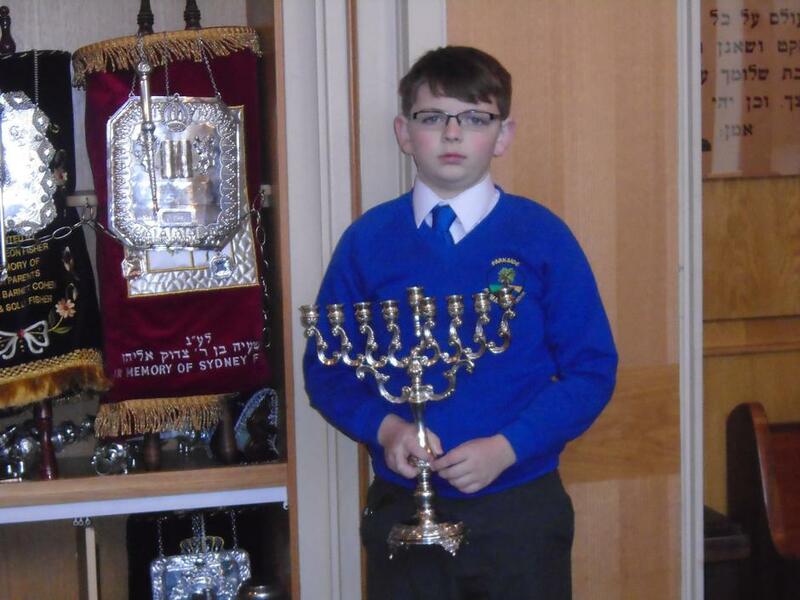 Why me? 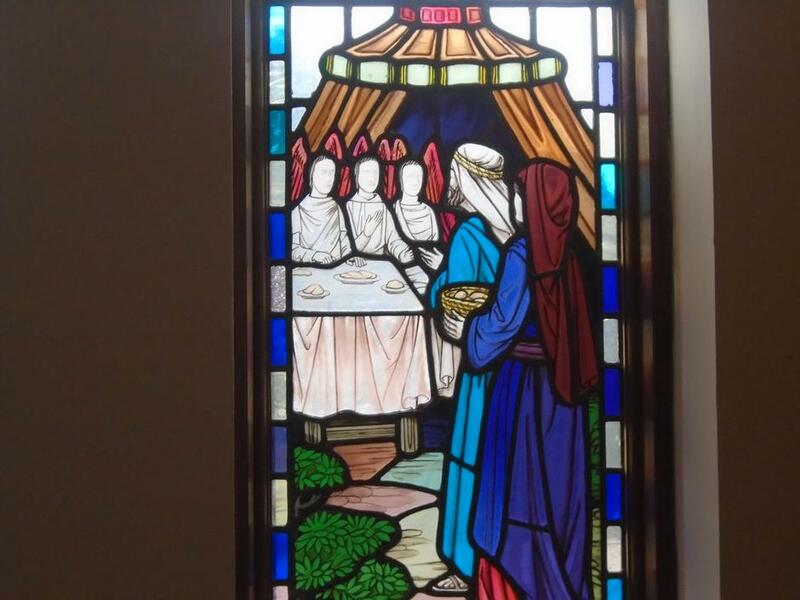 Why this? 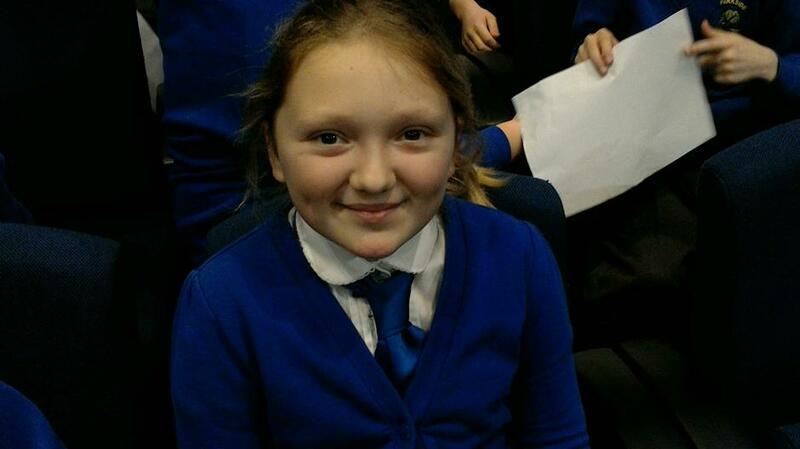 What will I do next? 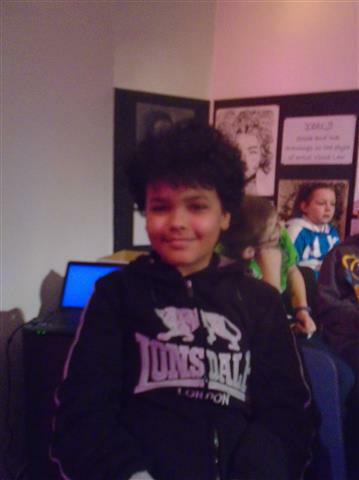 A part of me is gone; a part of me is broken; this royalty is a curse. 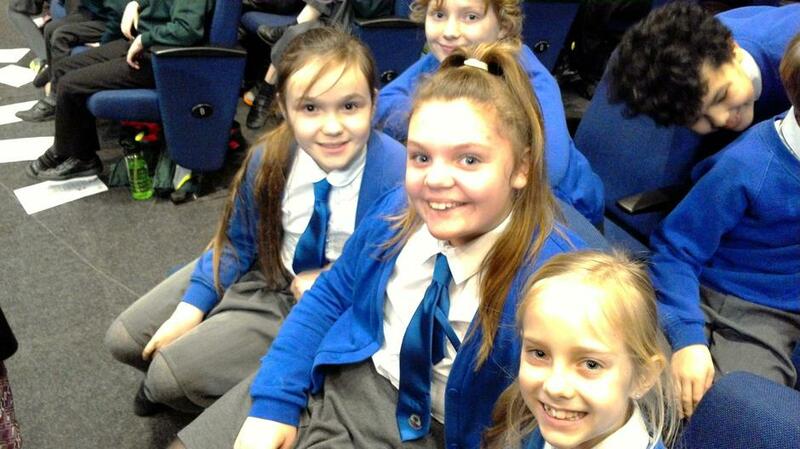 They were tremendous and sang really well! 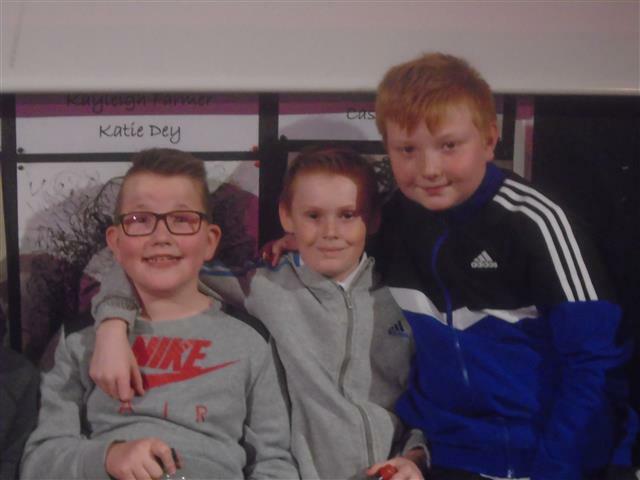 The project has been tremendous and something which I really hope Parkside will have the opportunity to repeat in future years. 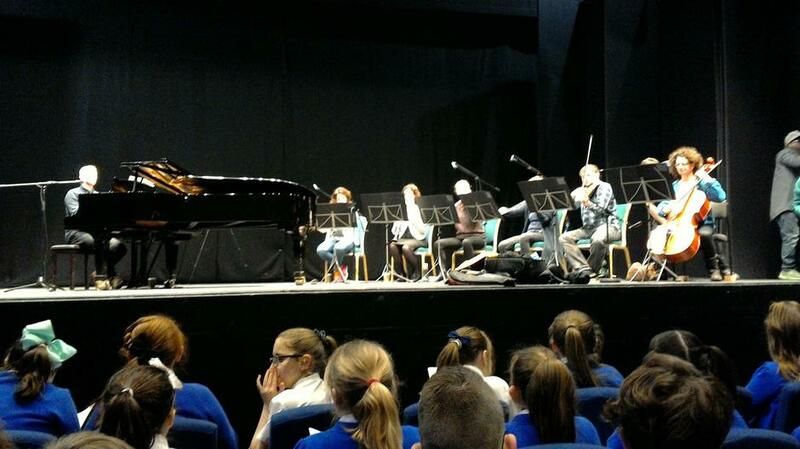 A massive thank you to Gareth Bibby from Manchester Camerata and his amazing group of musicians. 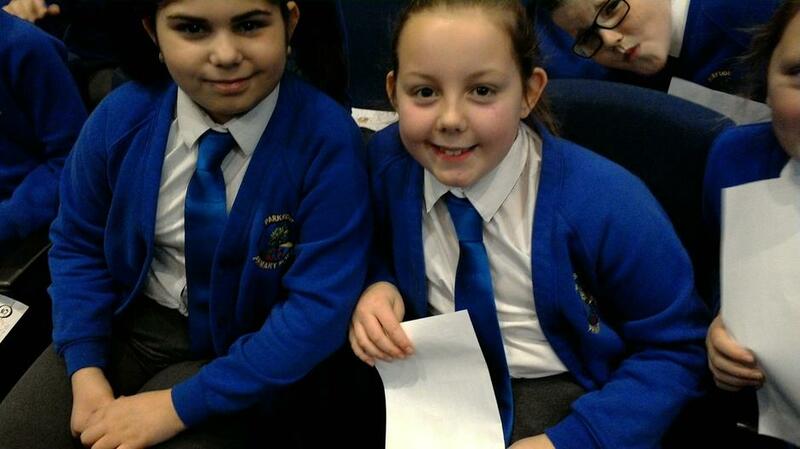 Below are some photos for you to have a look at and we have been promised a dvd recording of the whole event. 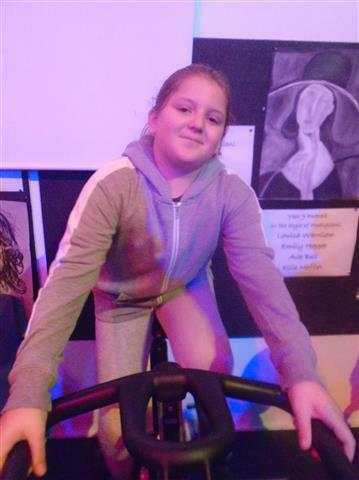 Today Year Six took part in a Bike Fix Course. 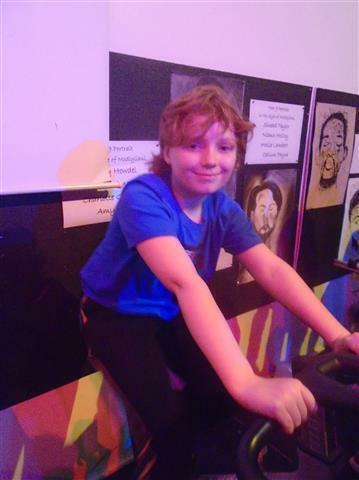 The instructors taught the children lots of really valuable skills, including: puncture repairs, brake adjustments, straightening handle bars and saddle position. 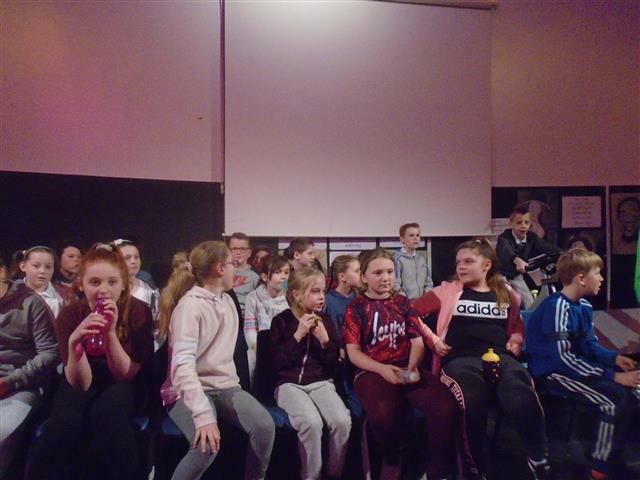 All of the children received a certificate and the instructors said that they were an absolute pleasure to work with. 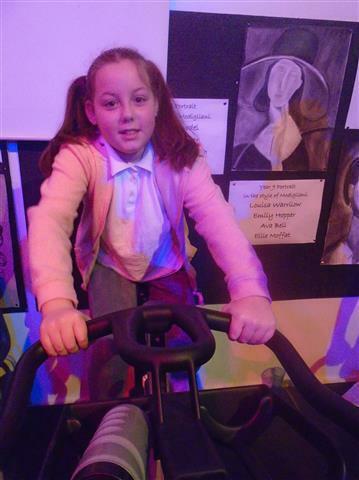 Thank you parents for allowing your child to bring their bike in to school today! 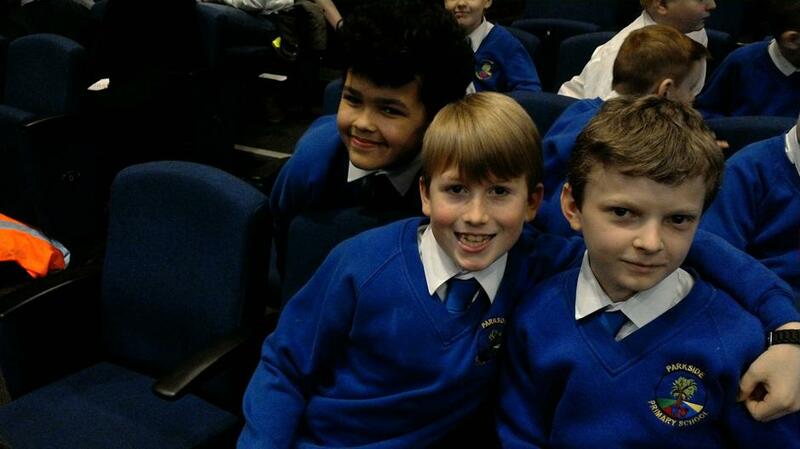 On Friday, Year Six had the brilliant opportunity to work with two amazing musicians from Manchester Camerata! 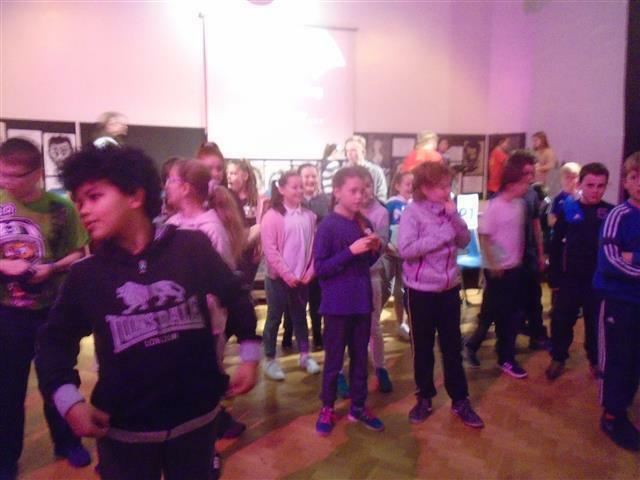 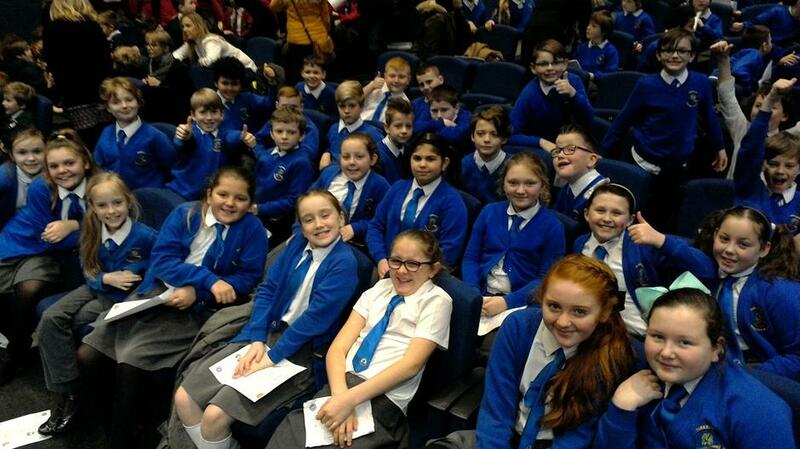 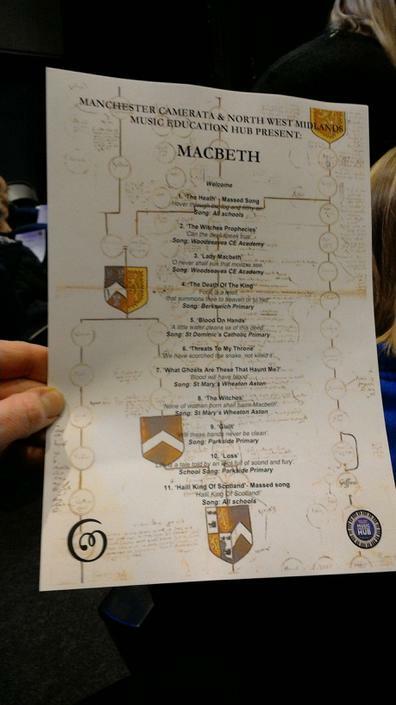 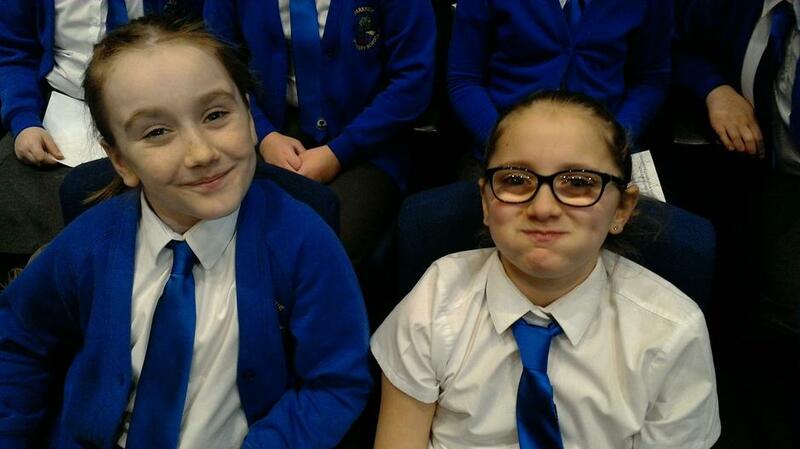 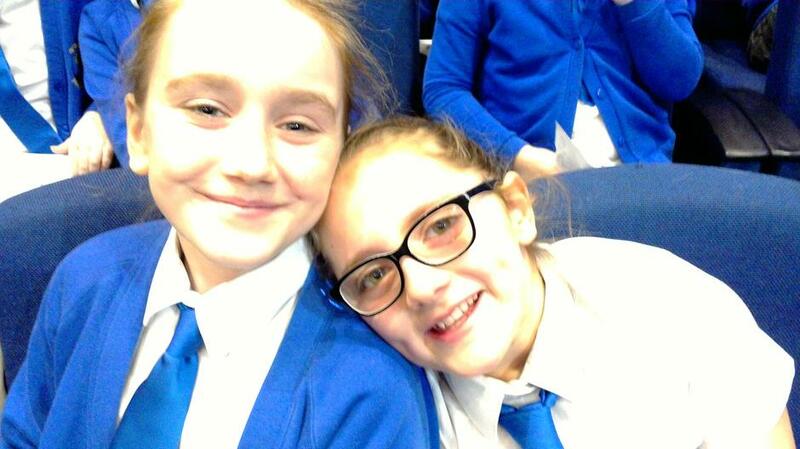 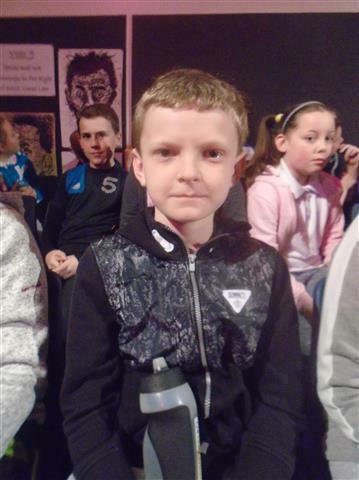 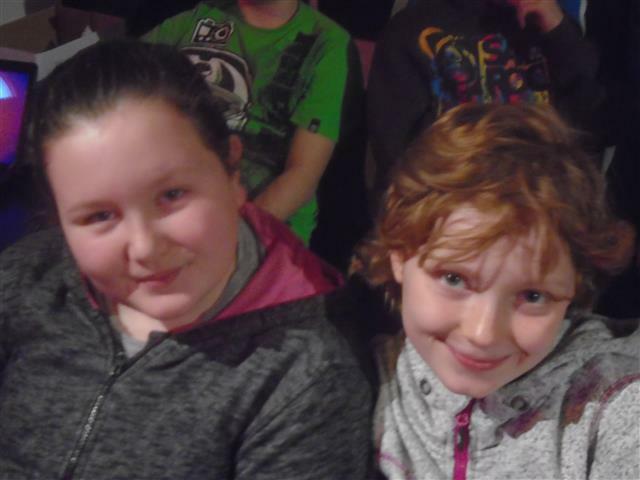 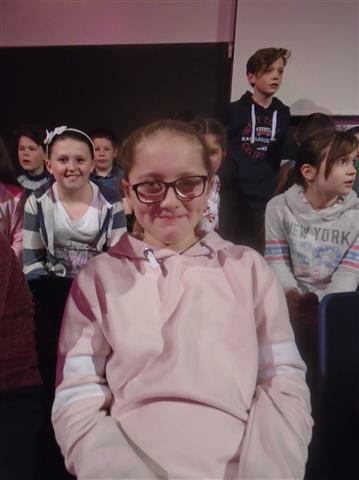 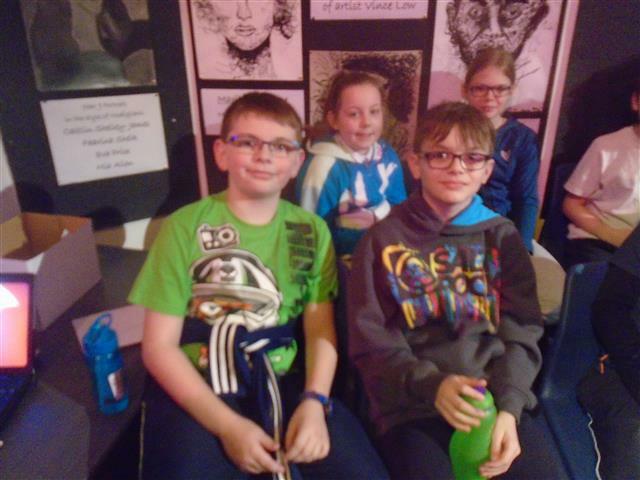 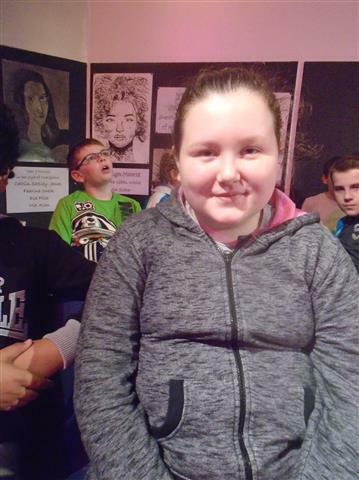 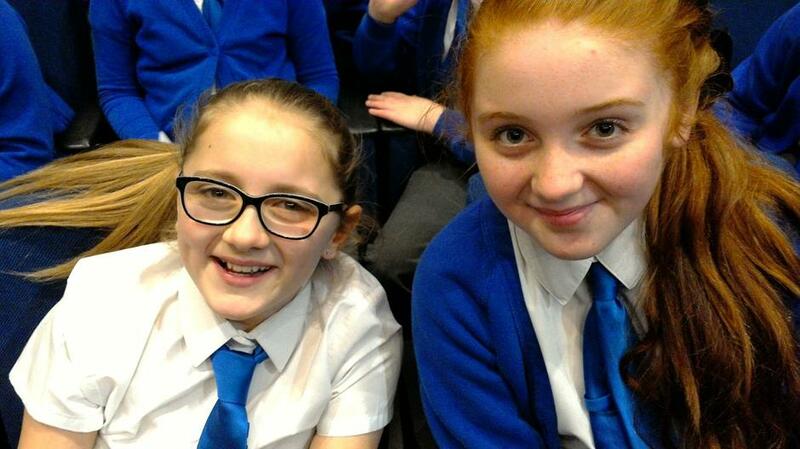 The children composed their own song around the theme of Macbeth - which they shall perform, along with other Staffordshire schools, at Stafford Gatehouse on Monday 13th February. 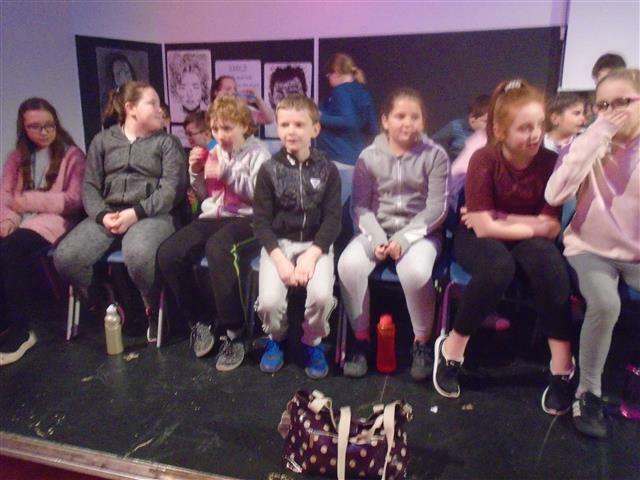 As the Gatehouse is unable to accommodate an audience for this - I shall make sure we take lots of photos to share with you when we get back! 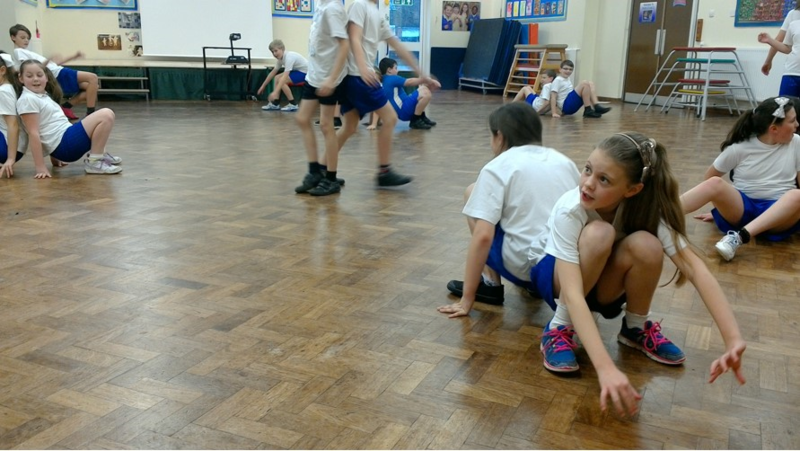 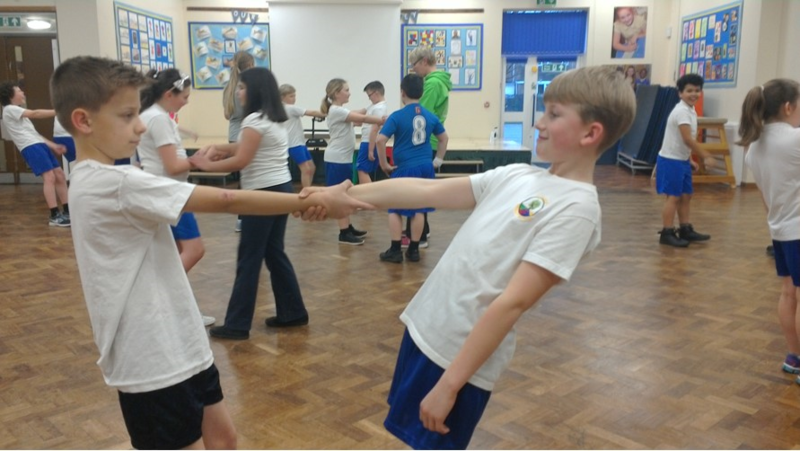 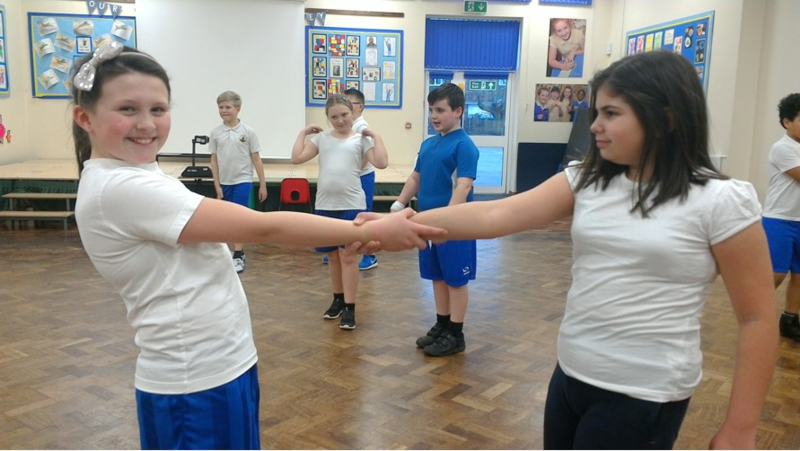 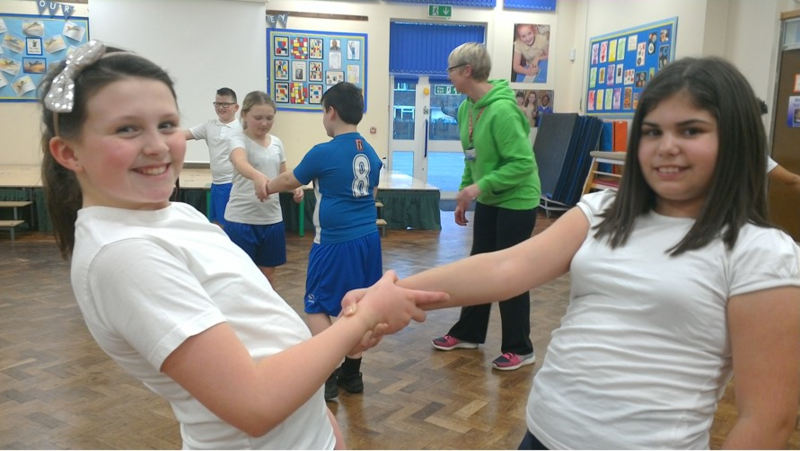 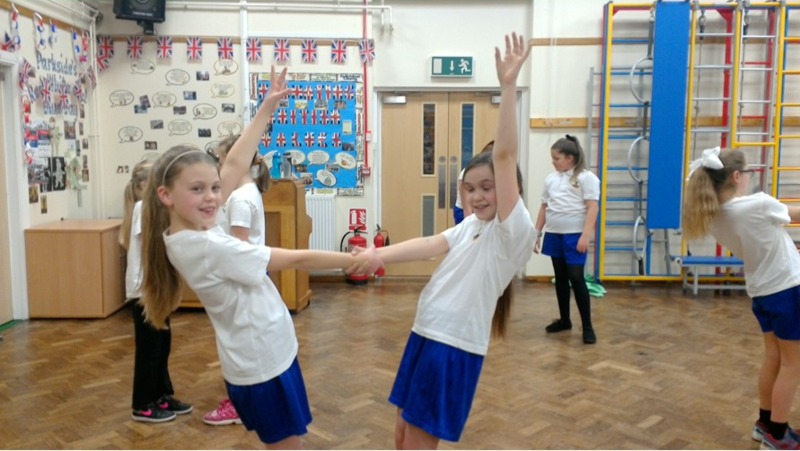 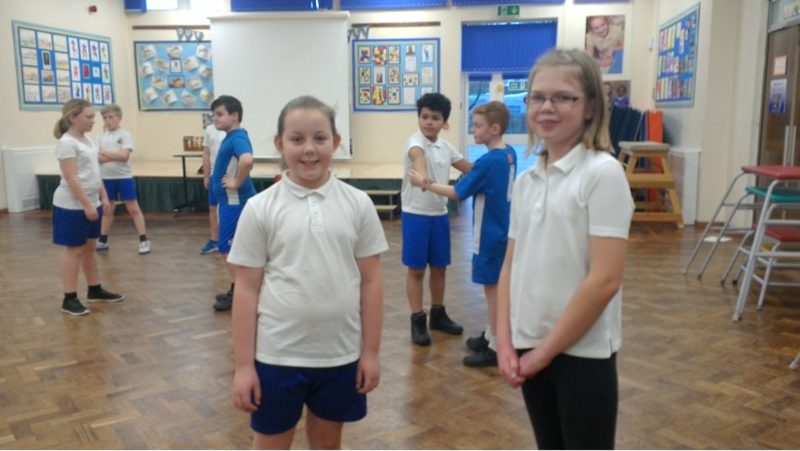 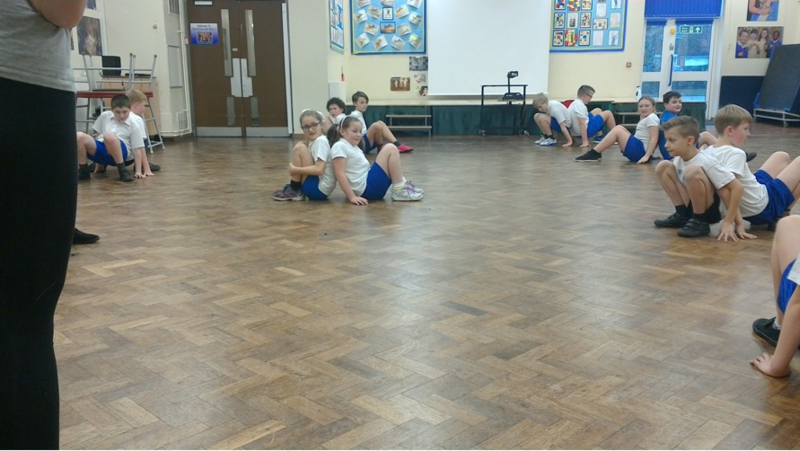 In Dance - every Tuesday afternoon - we are working with a dance teacher from Stafford Manor High - who is helping us to choreograph some of our dances for our End of KS2 Production of Annie!